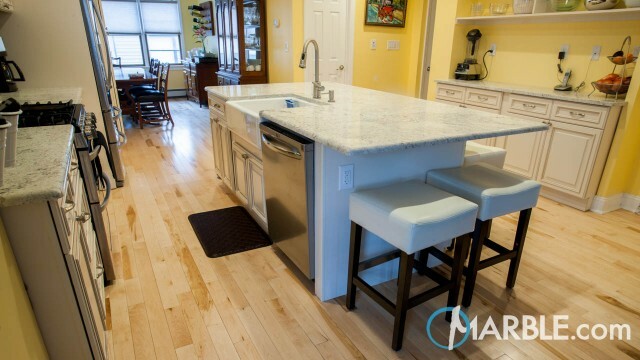 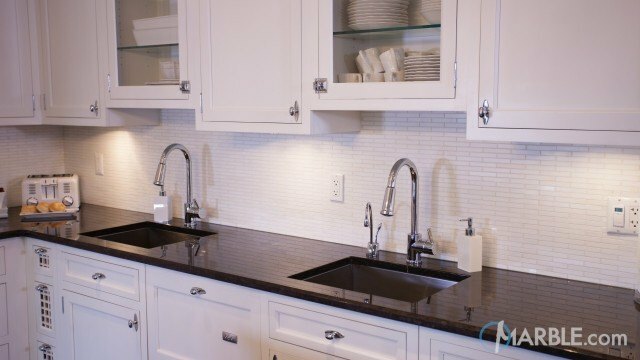 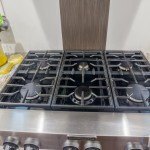 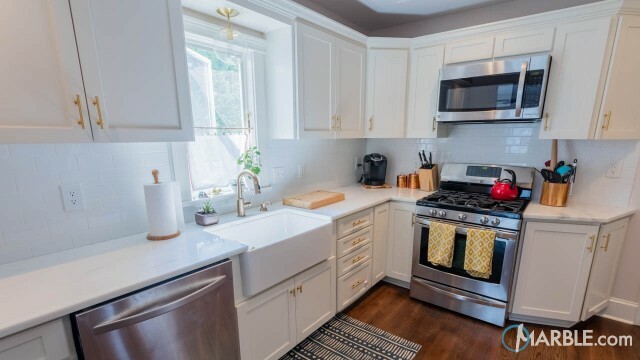 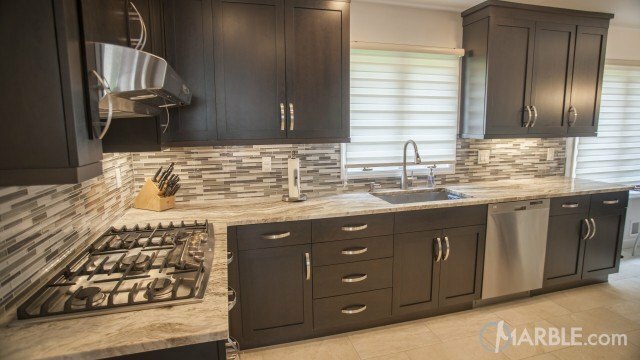 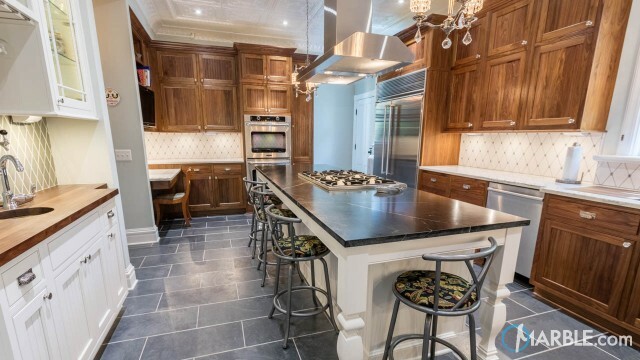 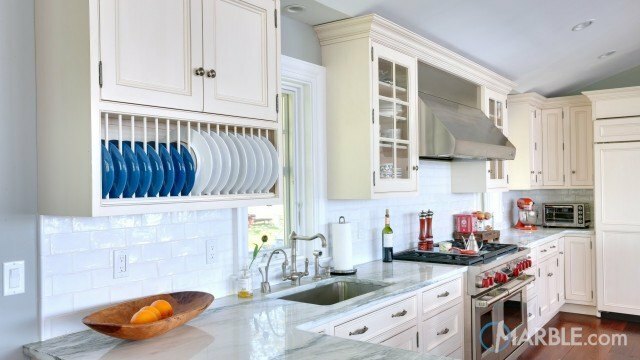 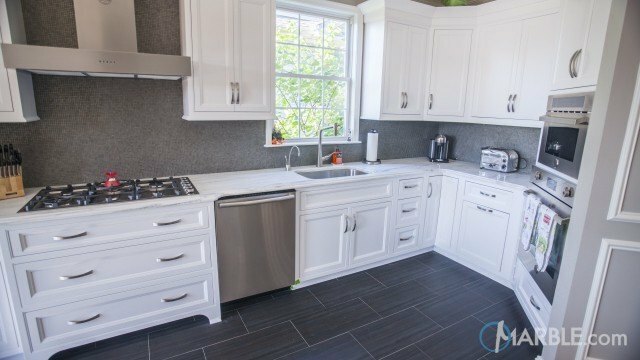 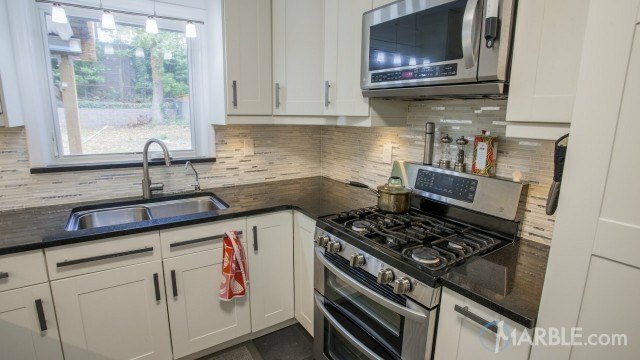 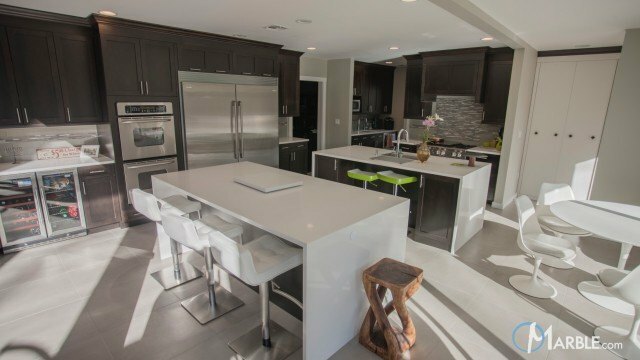 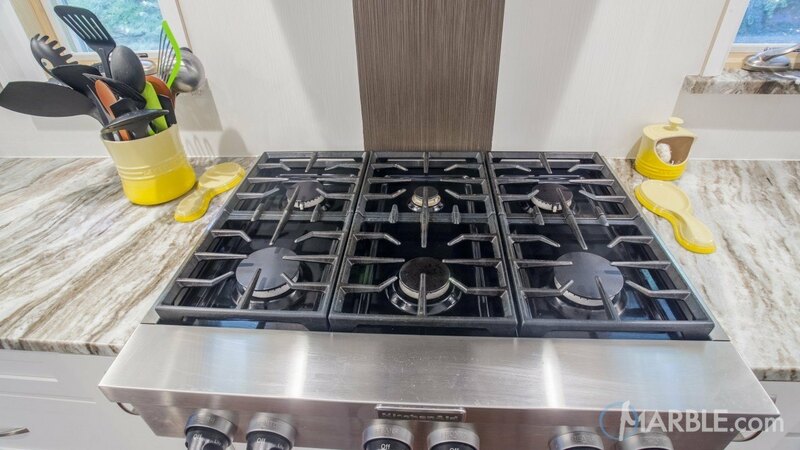 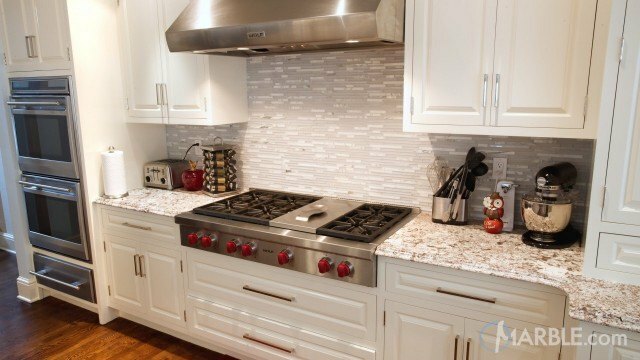 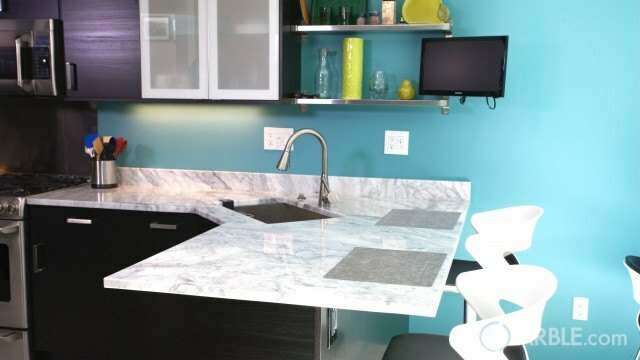 This new modern kitchen features white cabinets with modern sleek hardware. 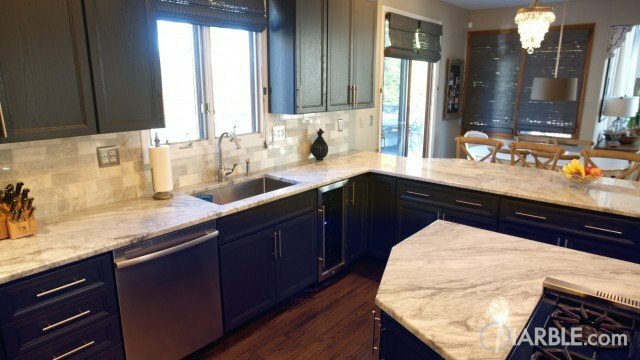 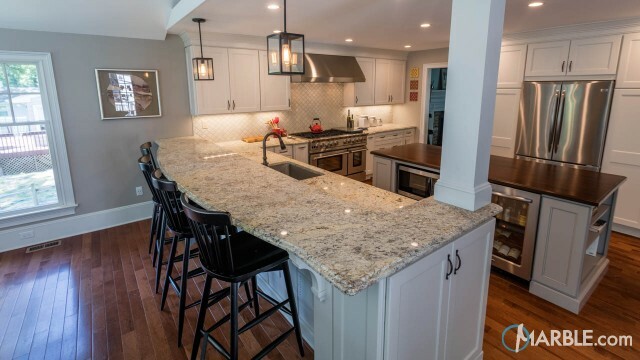 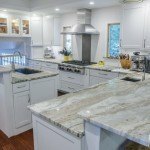 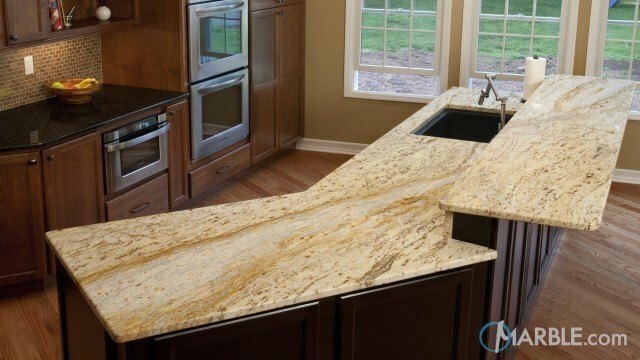 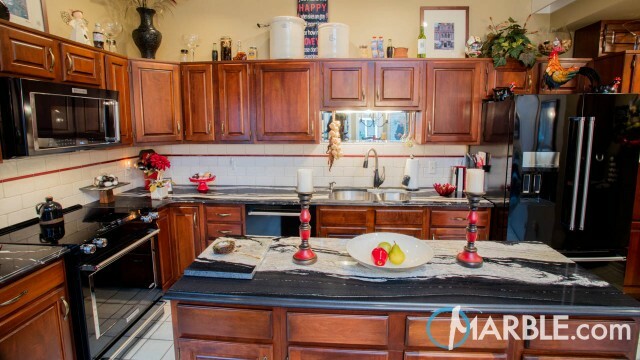 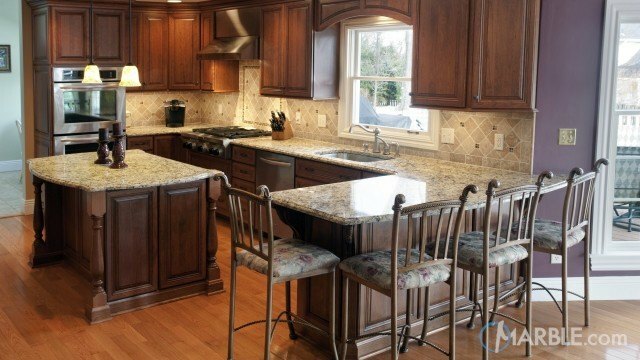 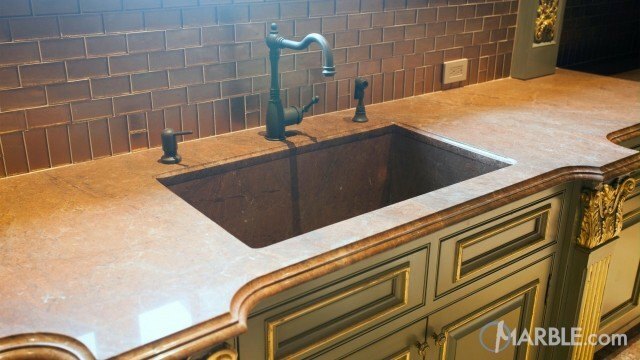 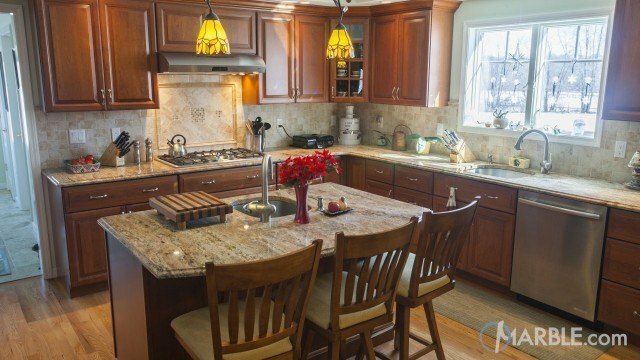 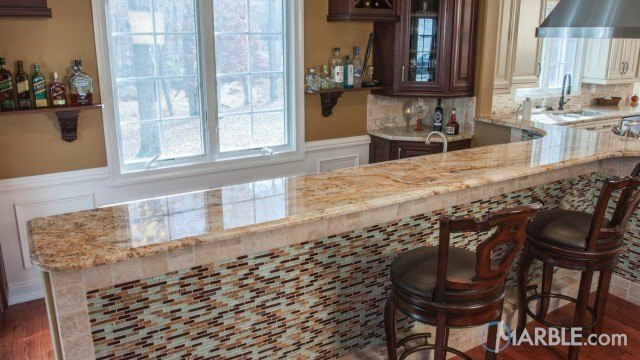 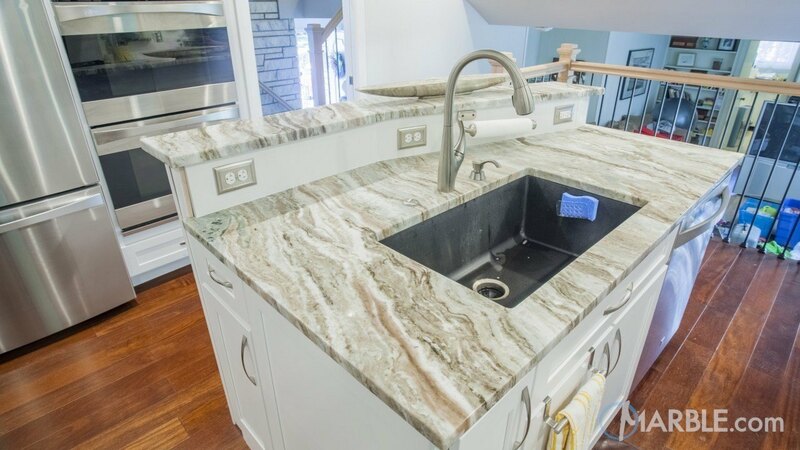 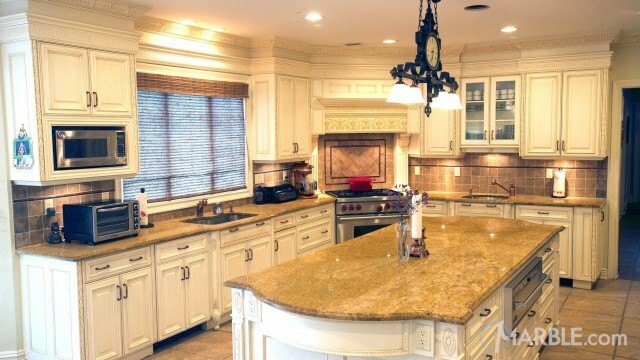 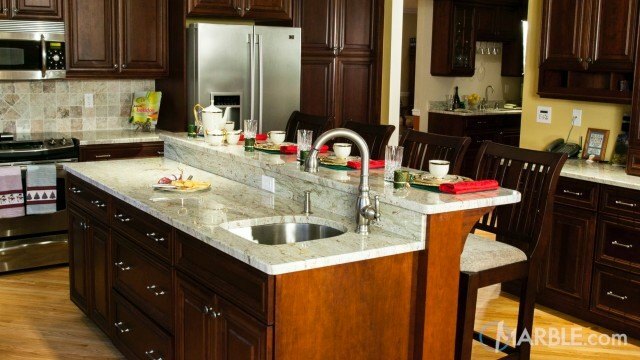 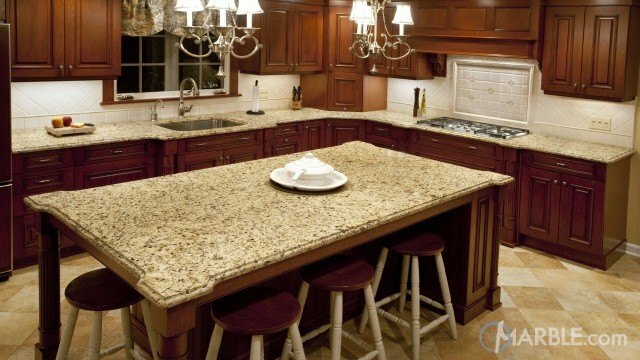 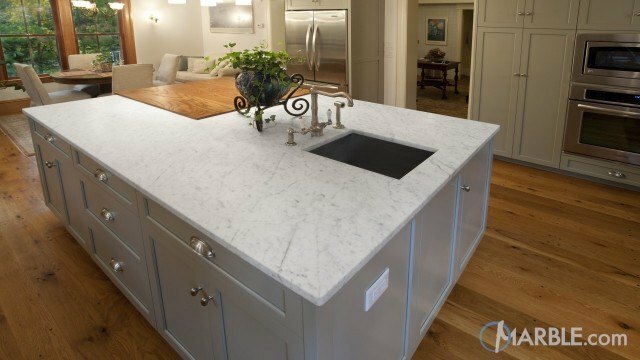 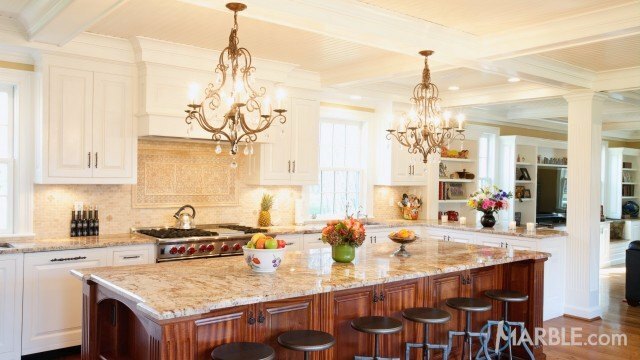 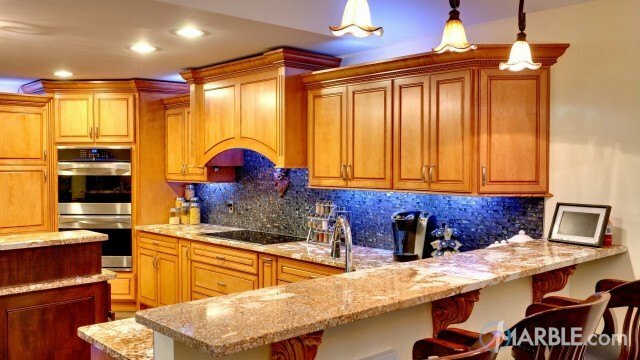 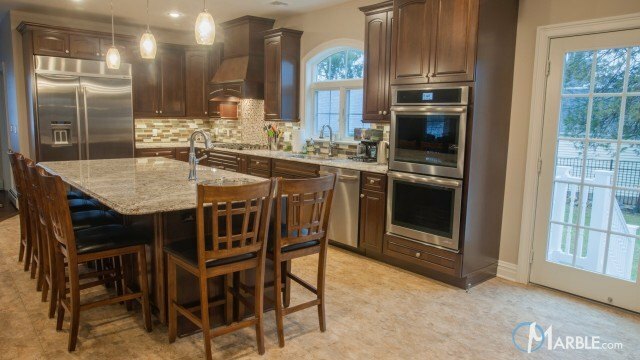 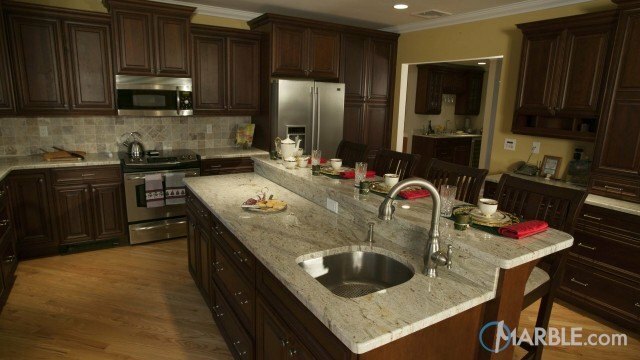 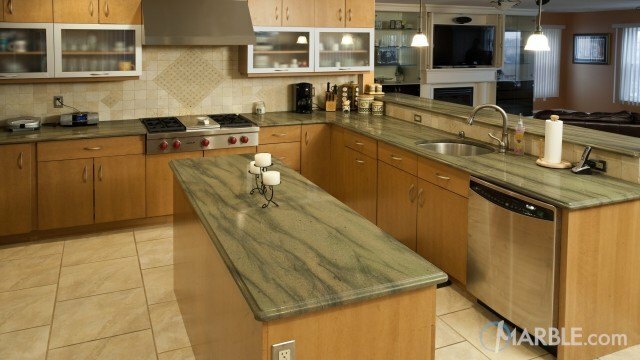 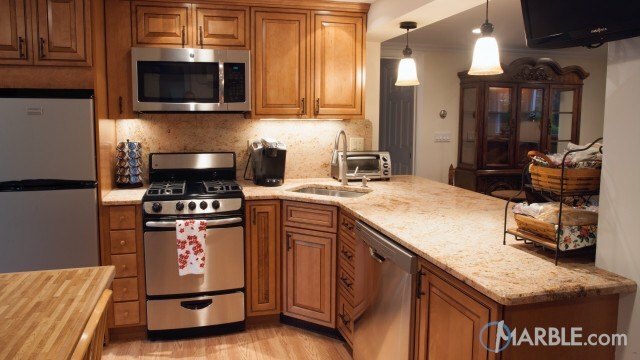 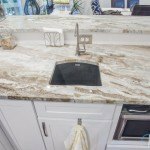 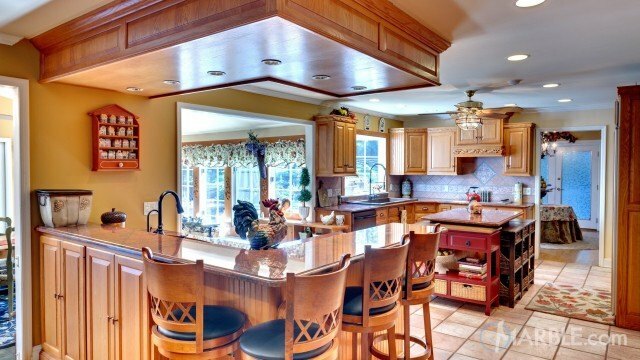 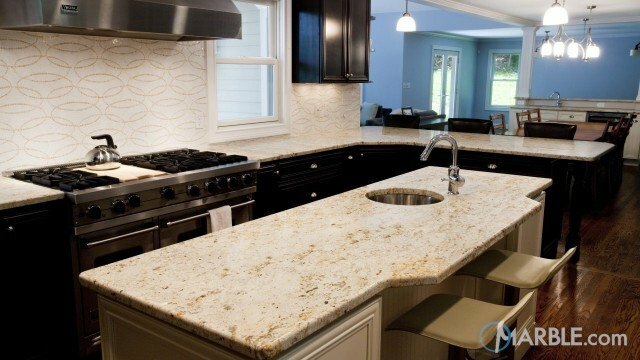 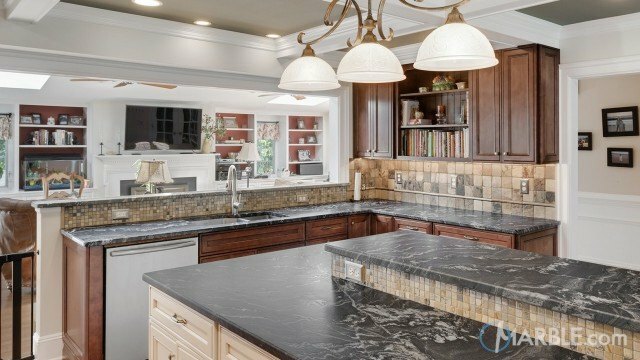 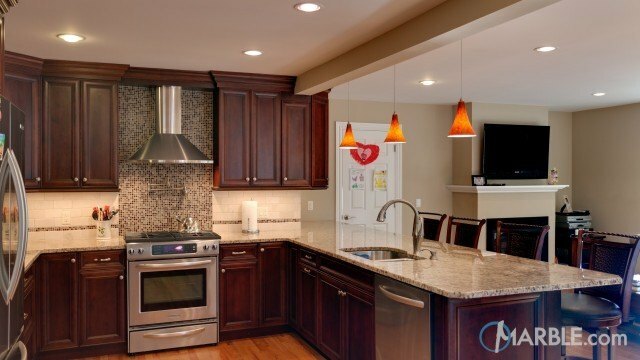 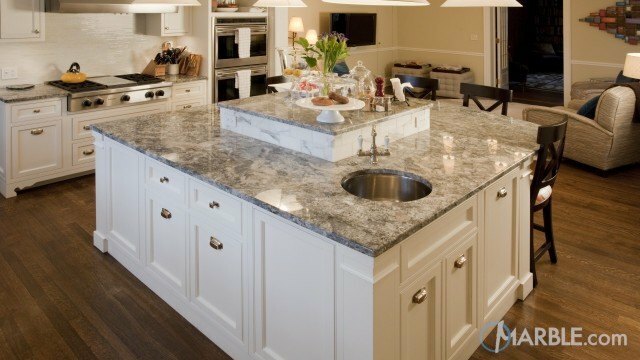 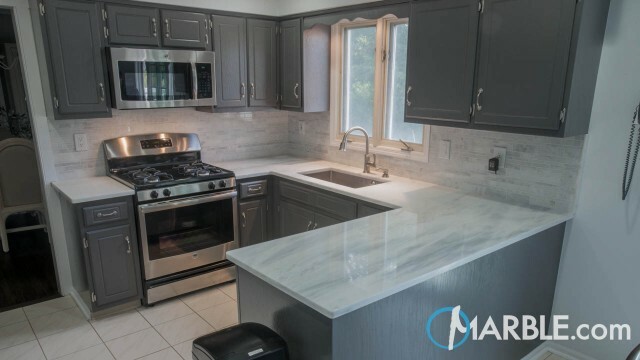 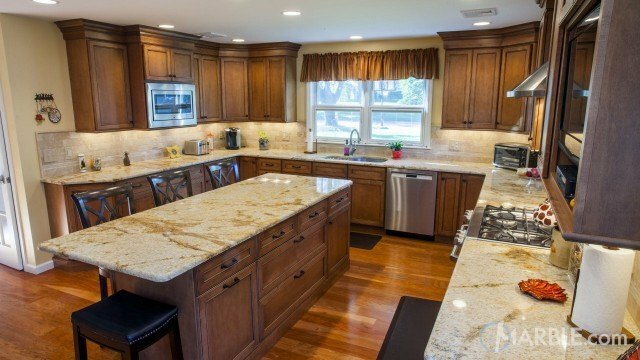 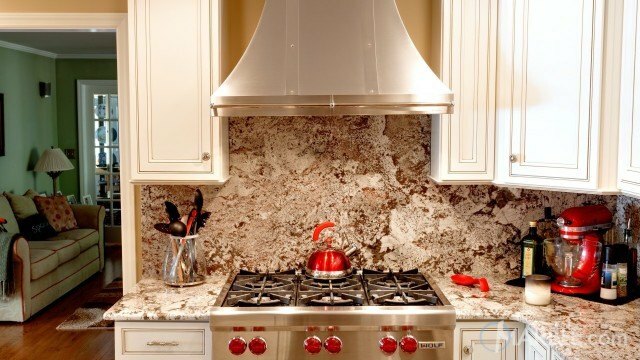 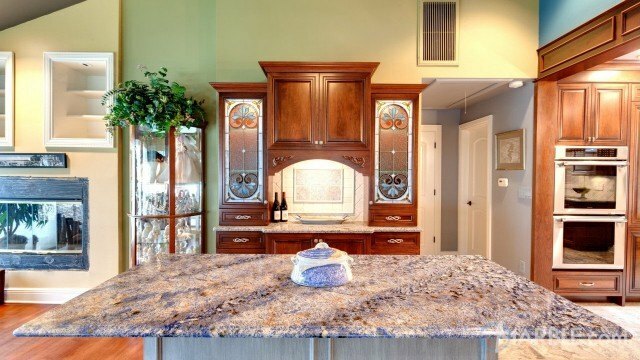 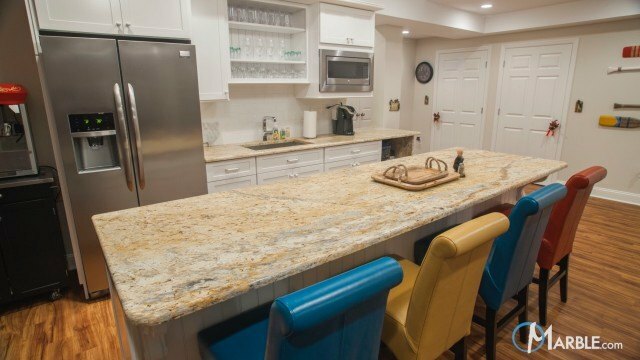 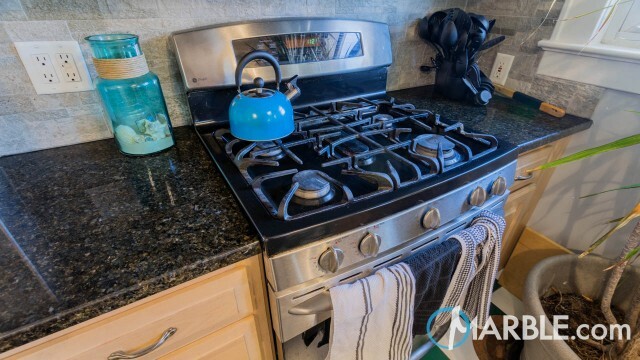 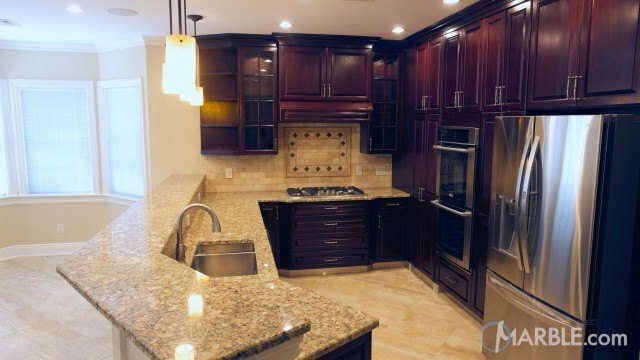 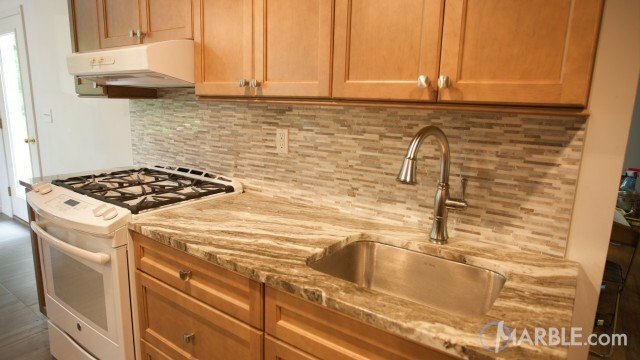 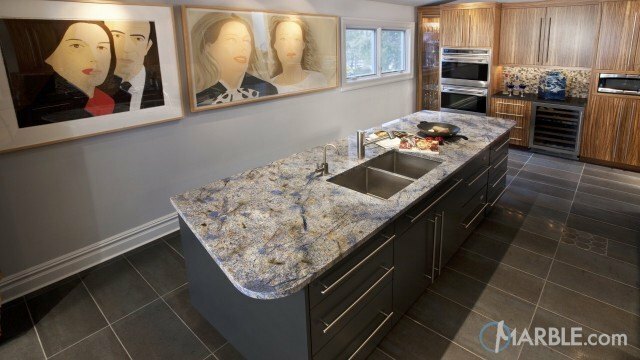 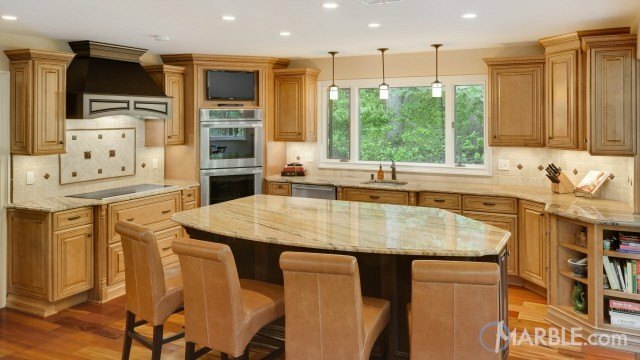 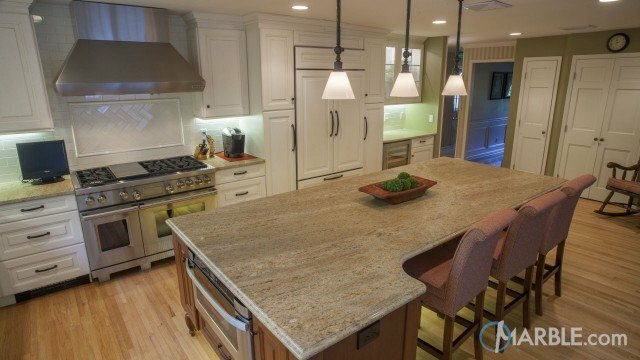 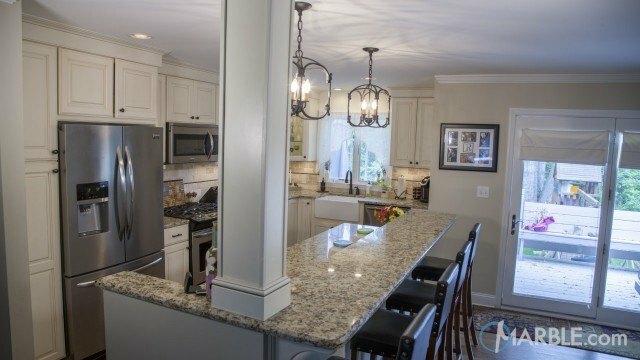 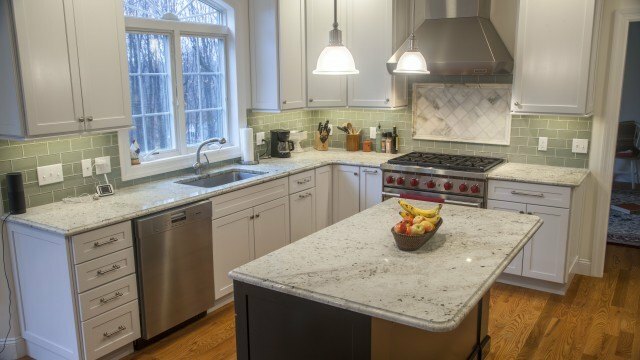 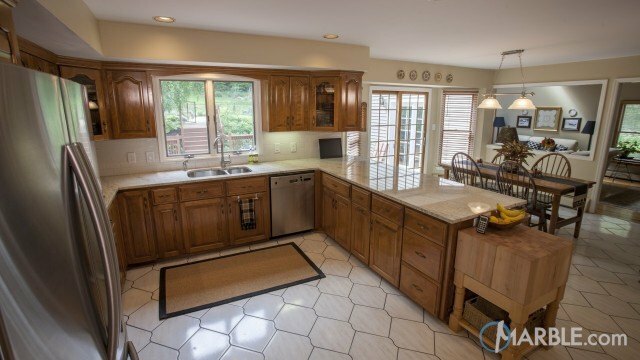 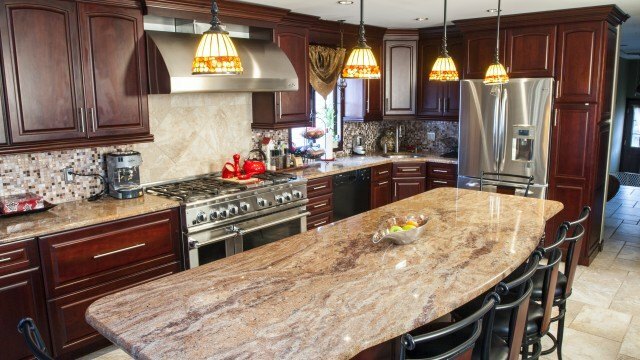 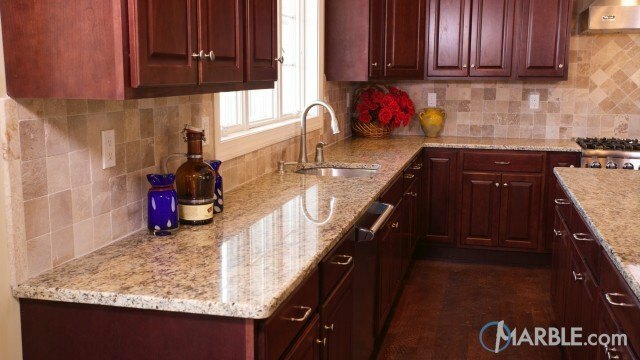 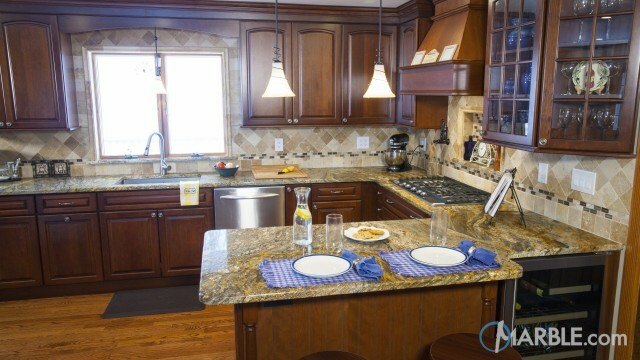 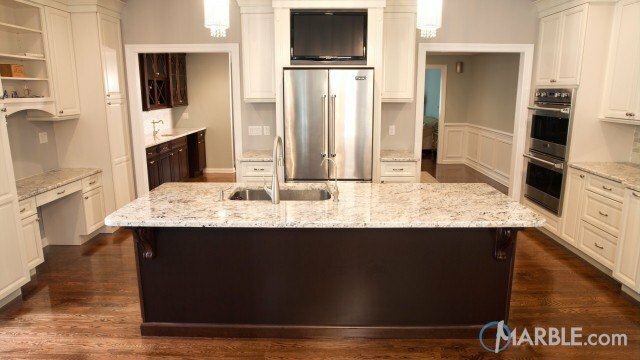 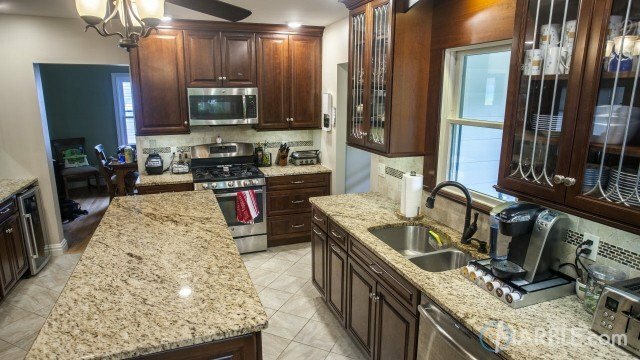 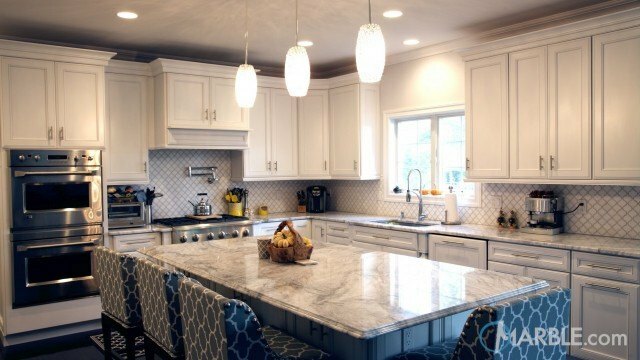 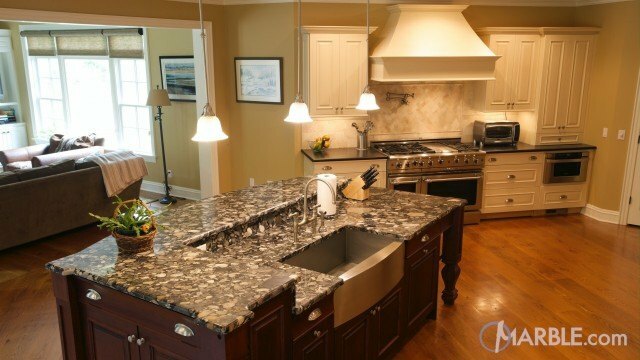 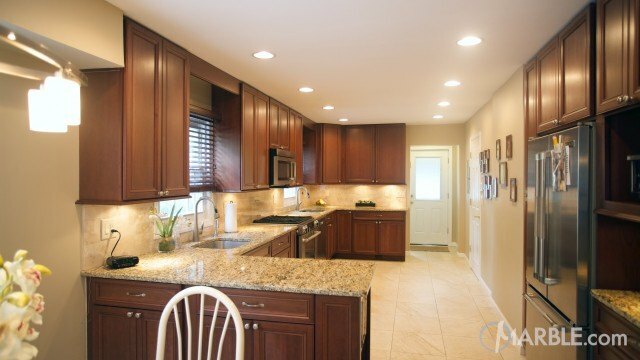 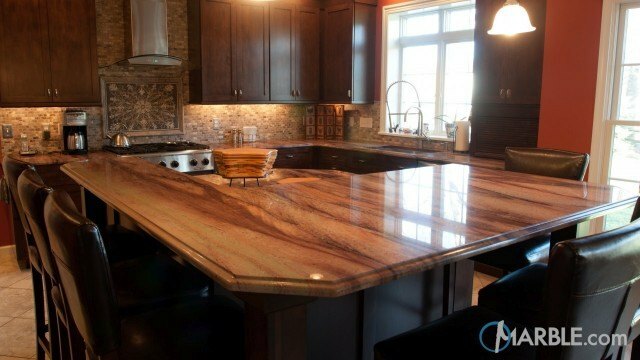 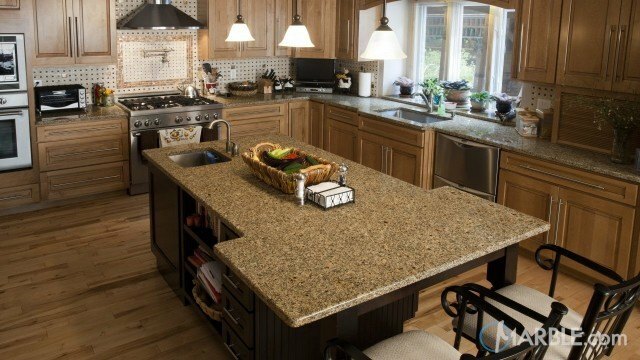 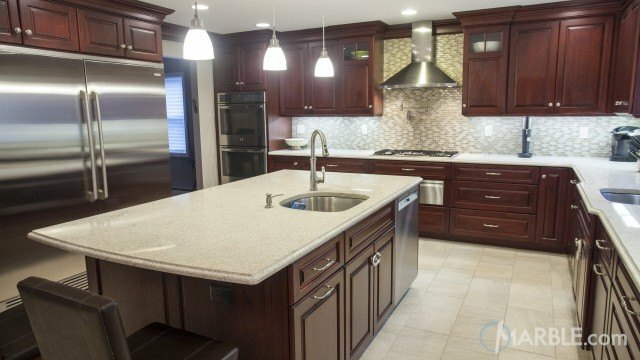 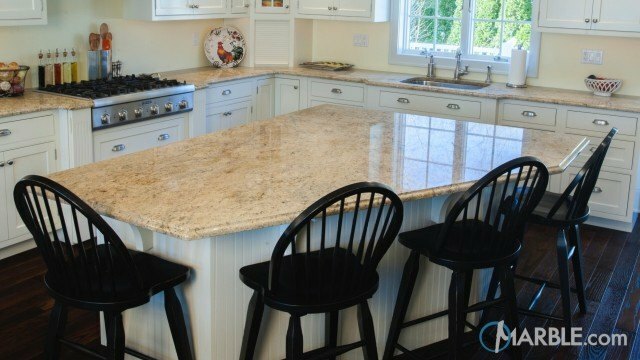 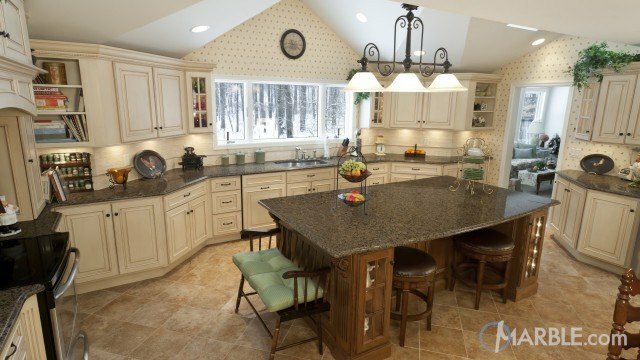 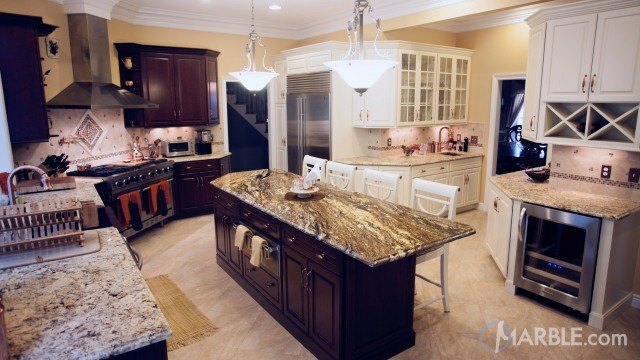 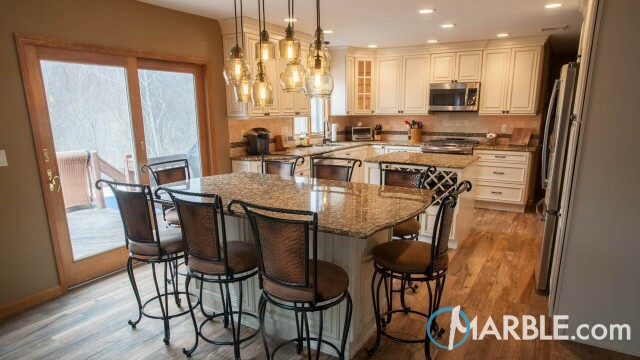 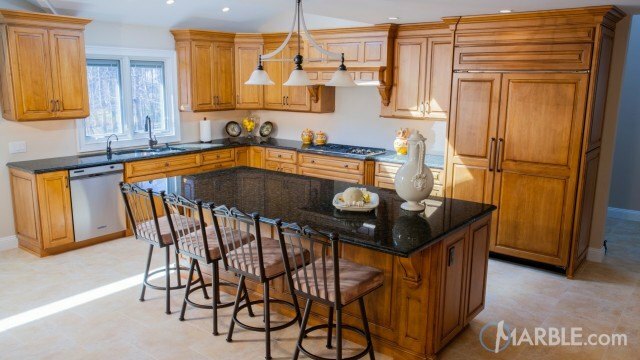 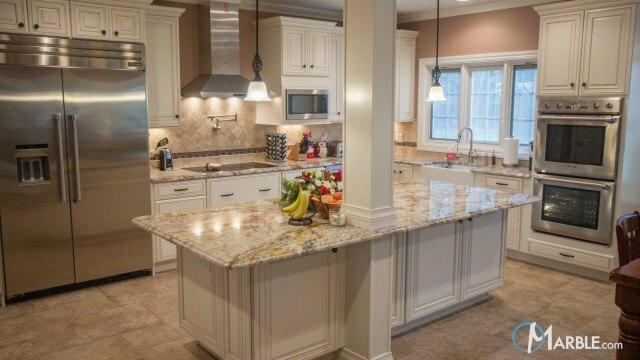 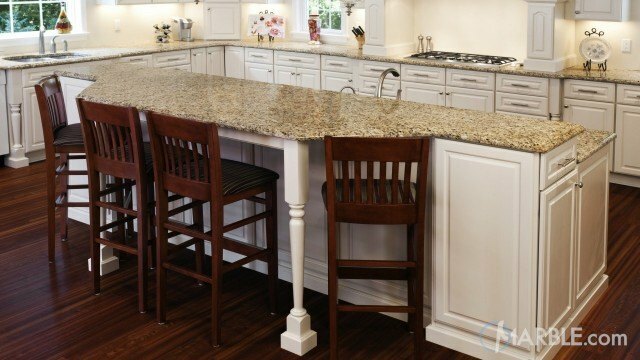 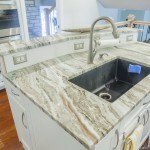 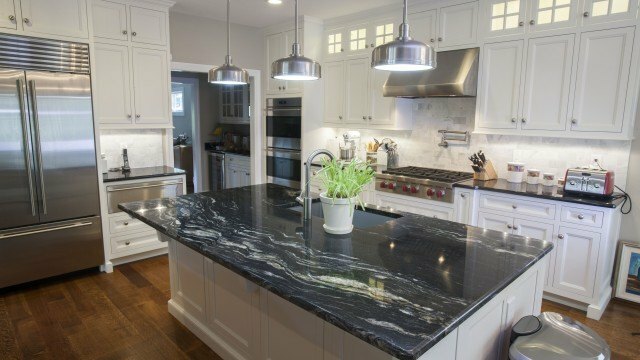 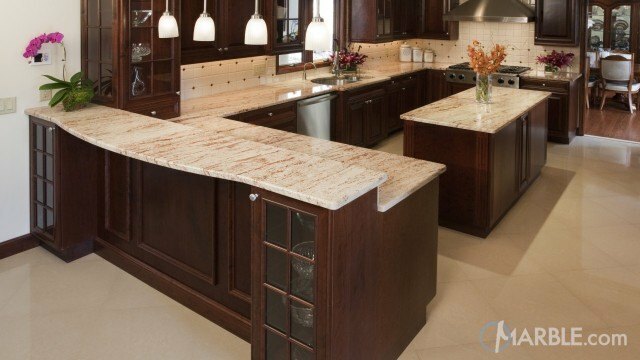 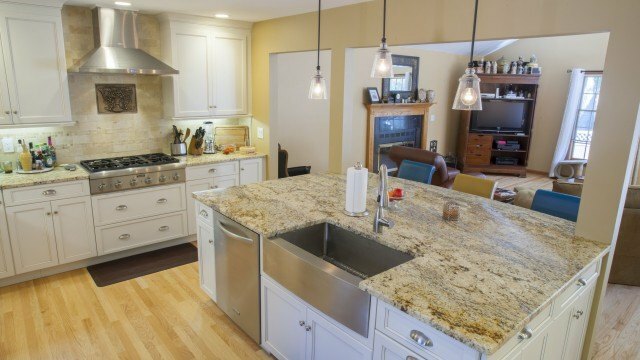 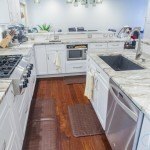 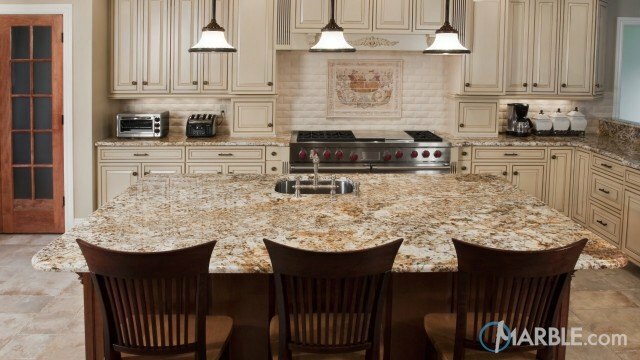 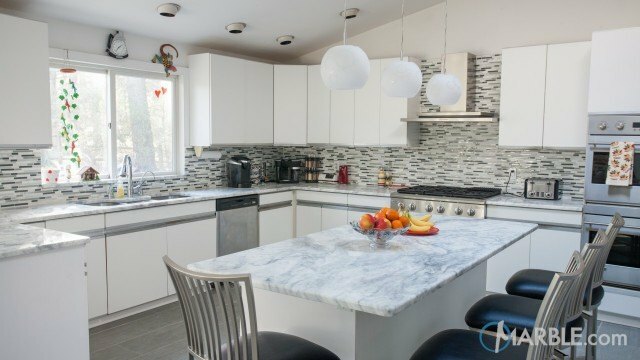 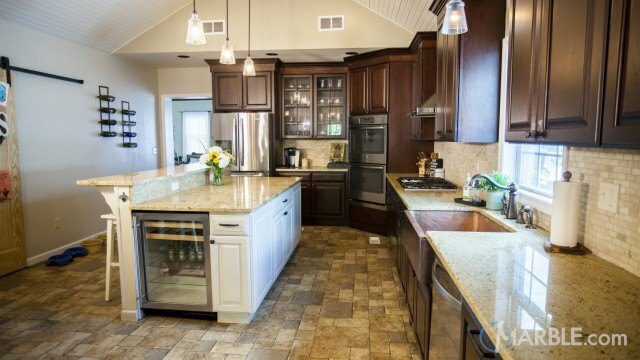 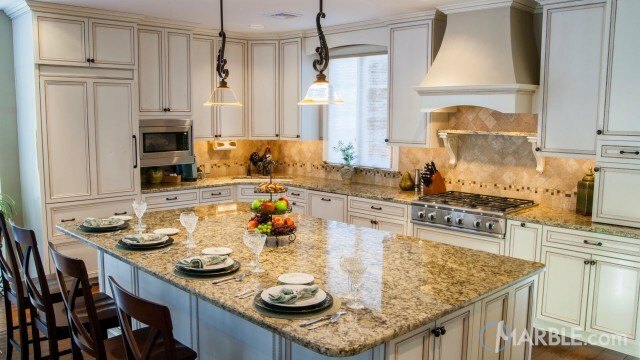 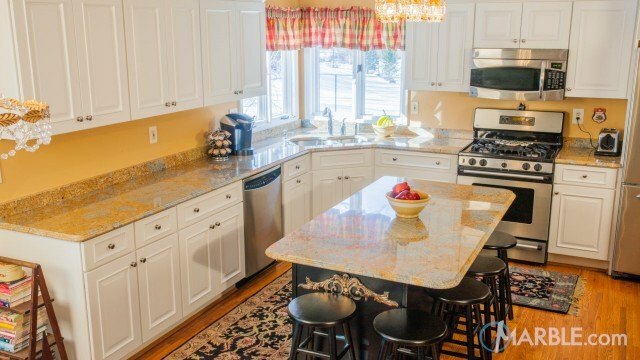 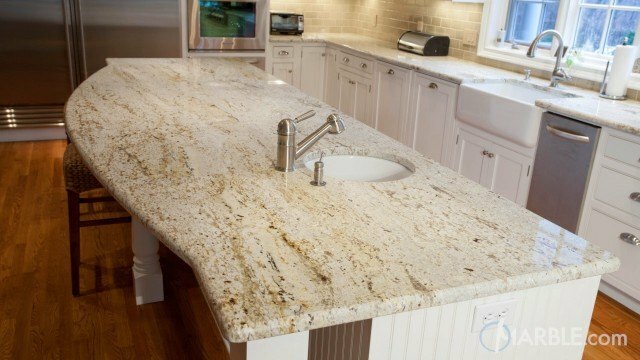 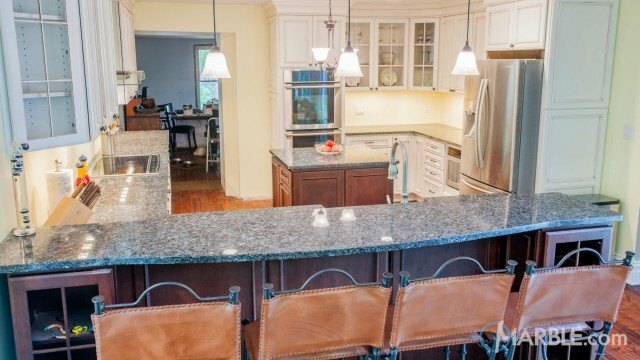 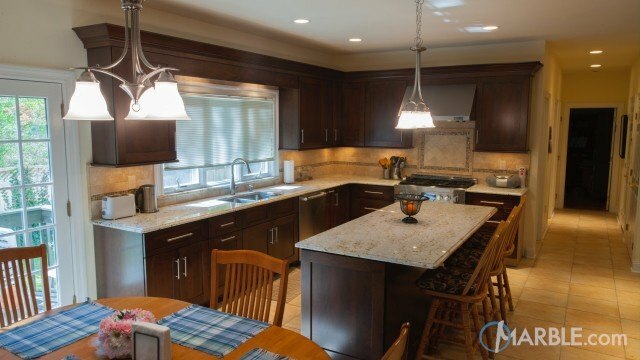 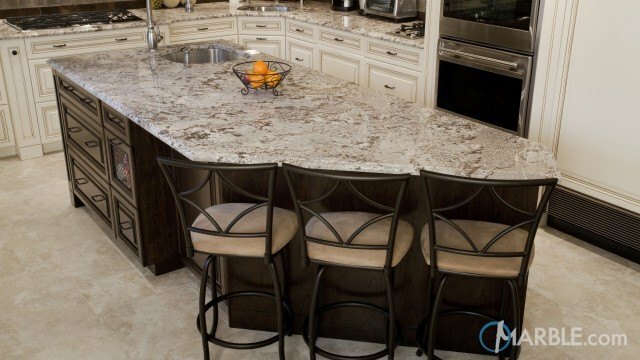 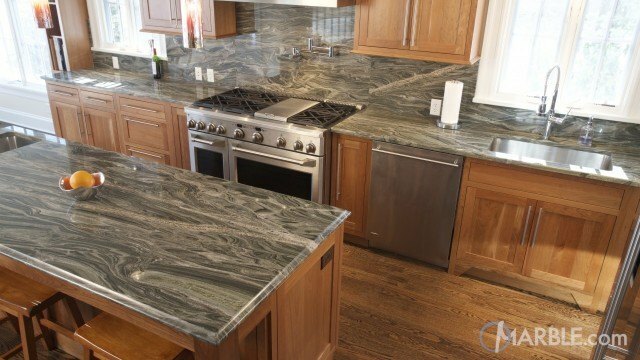 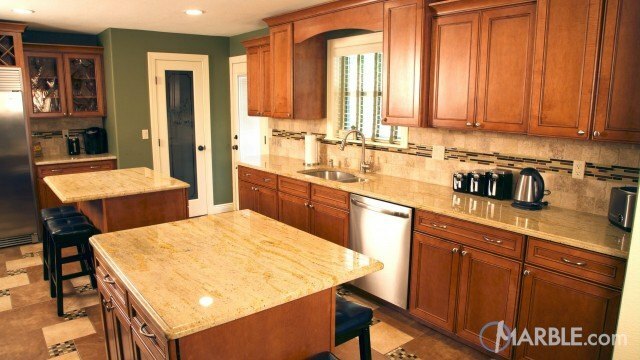 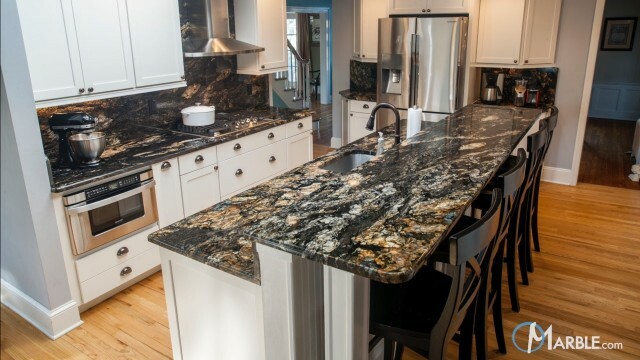 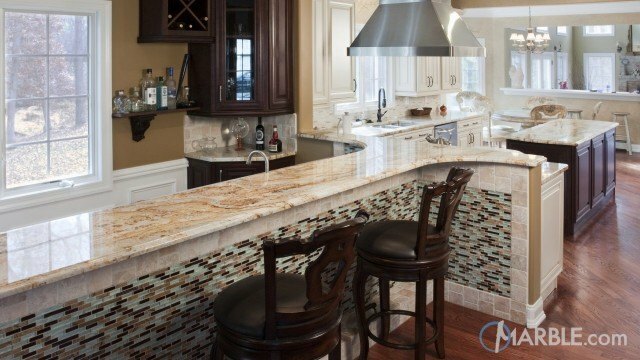 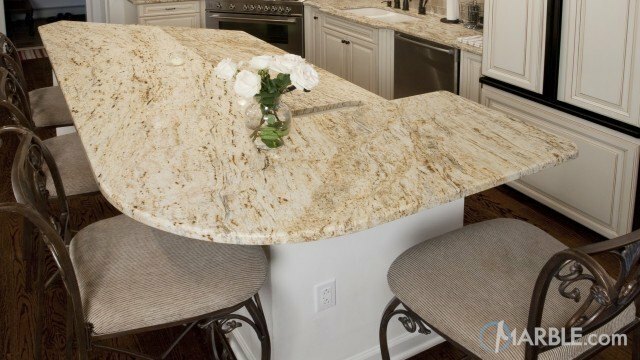 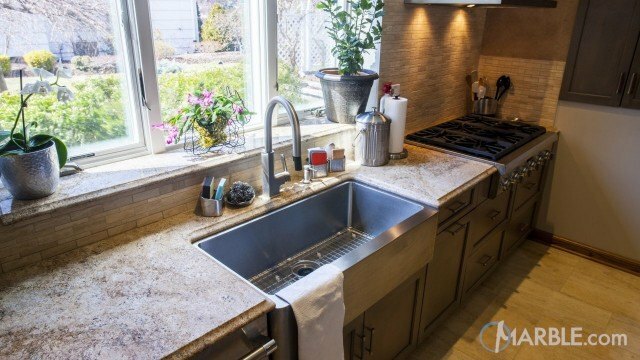 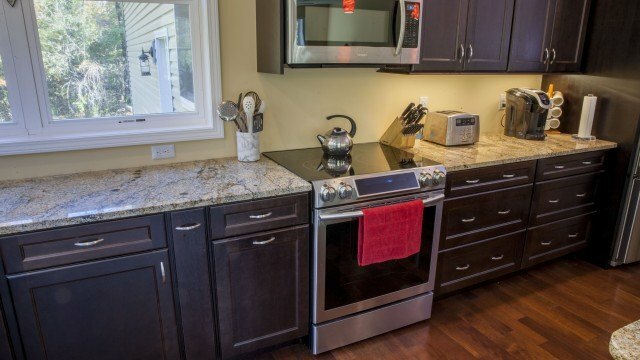 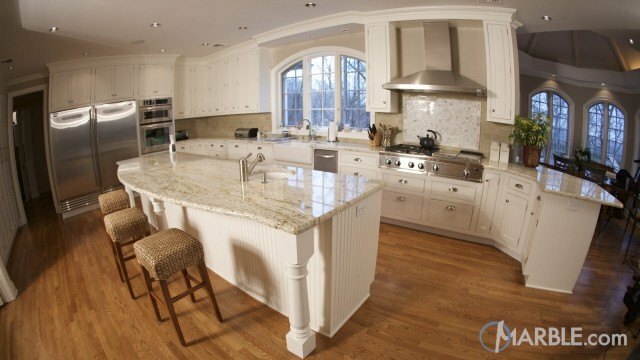 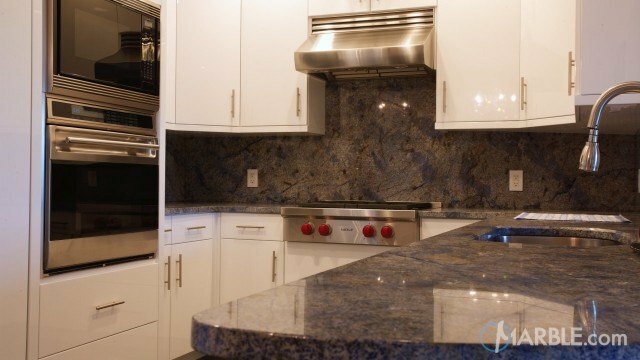 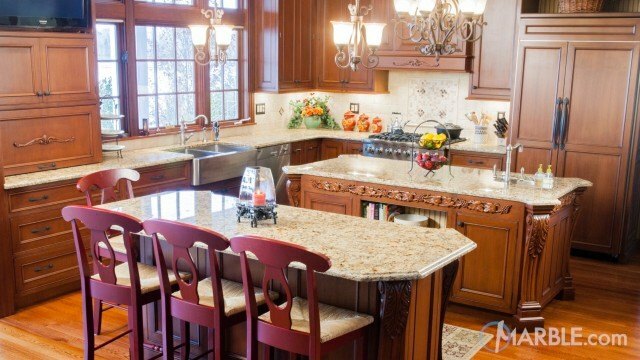 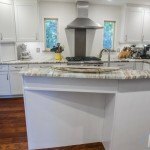 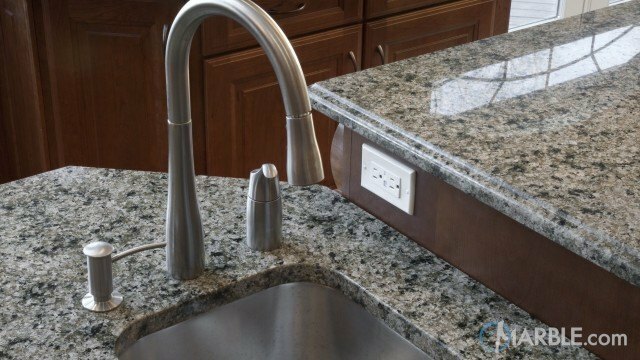 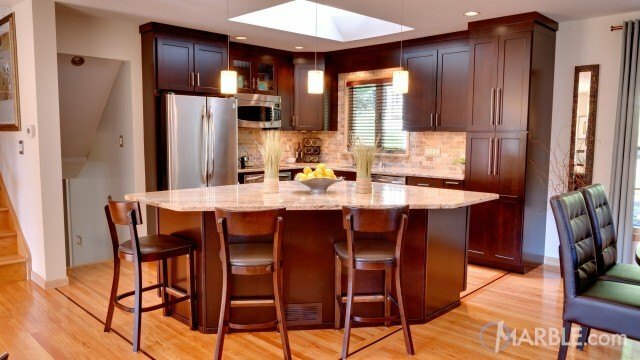 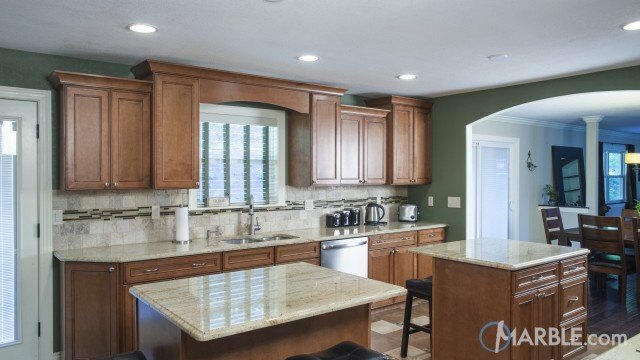 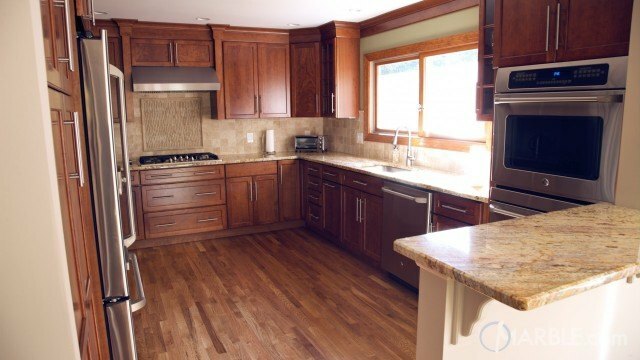 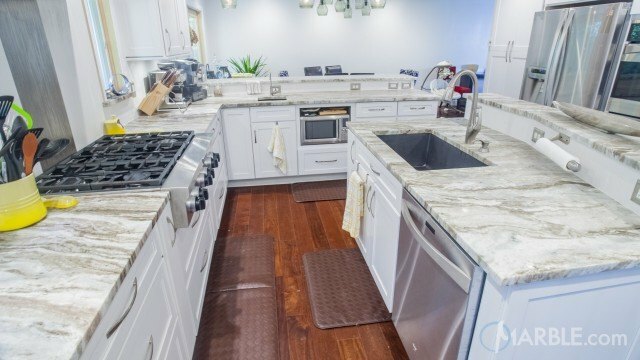 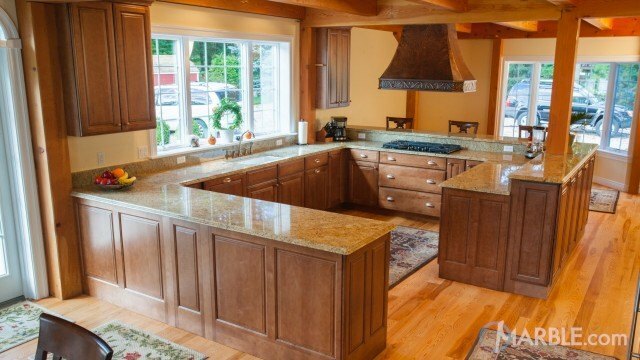 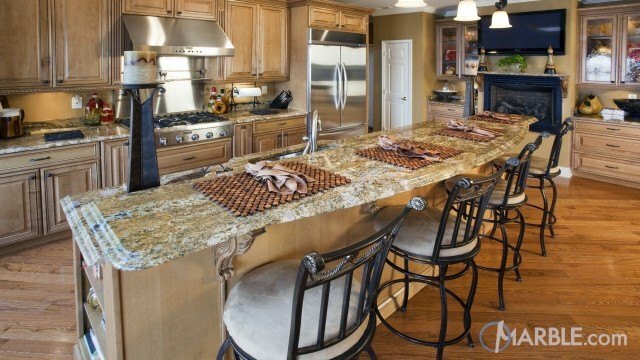 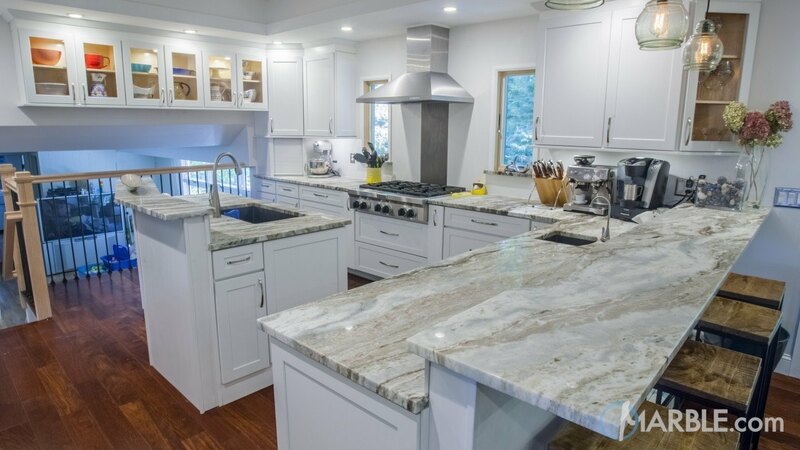 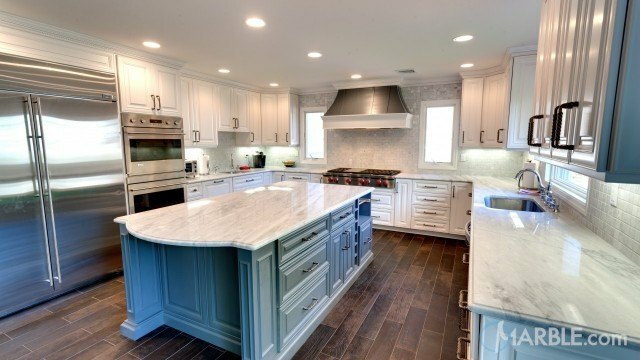 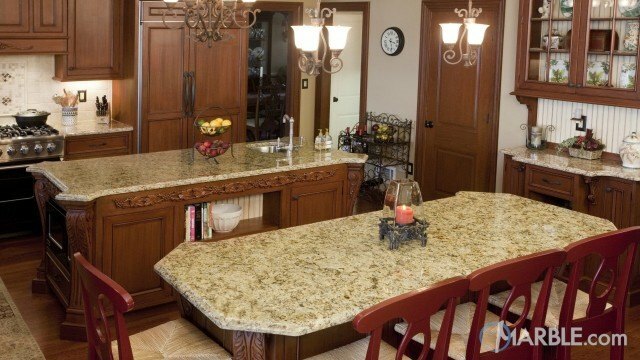 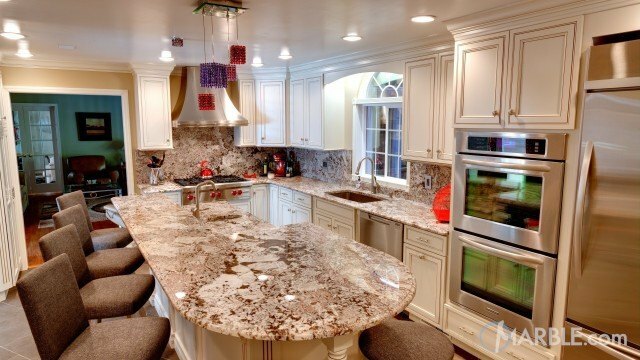 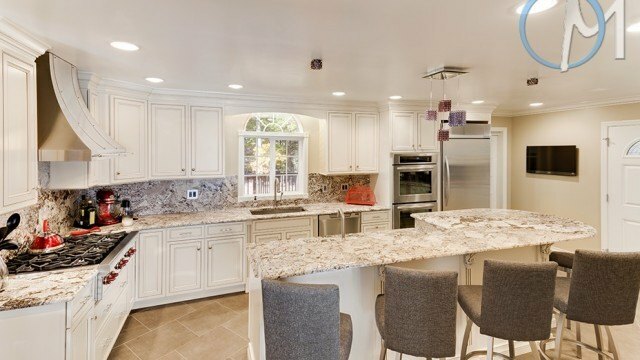 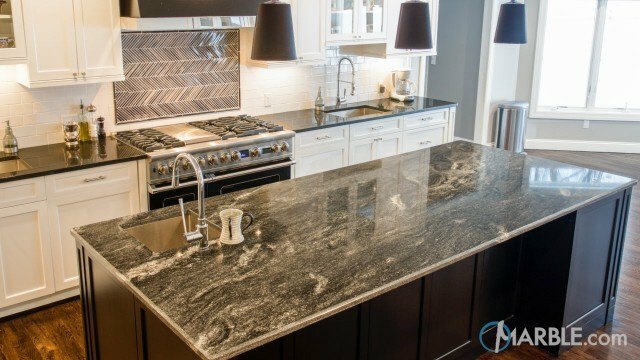 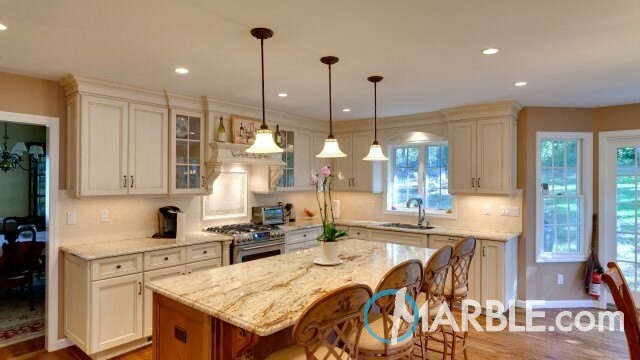 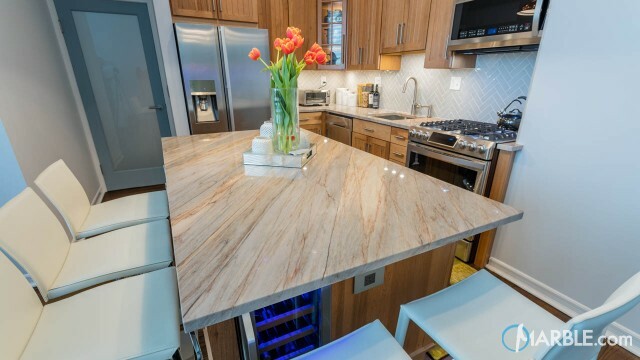 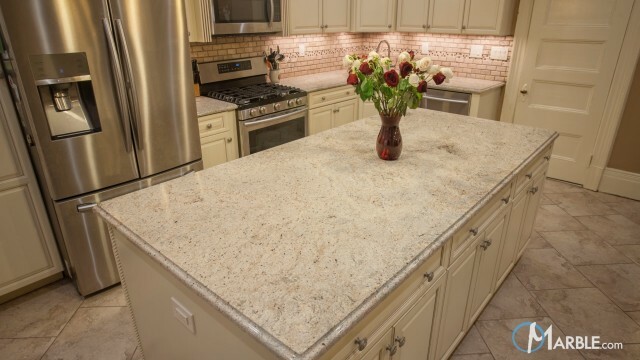 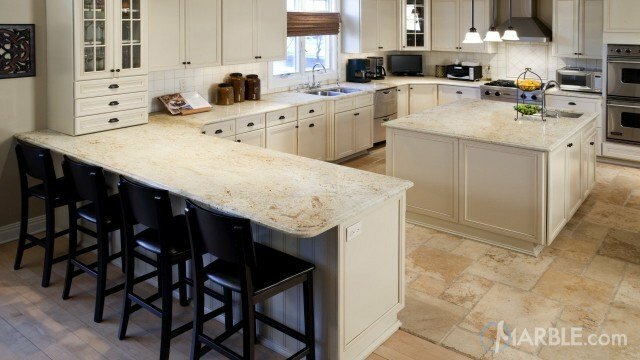 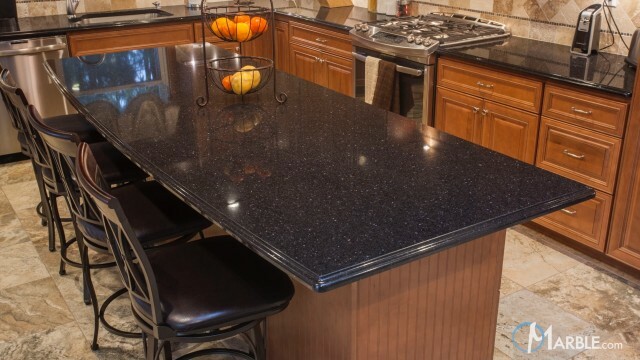 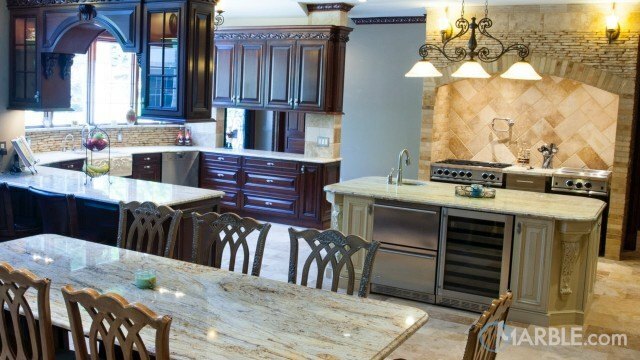 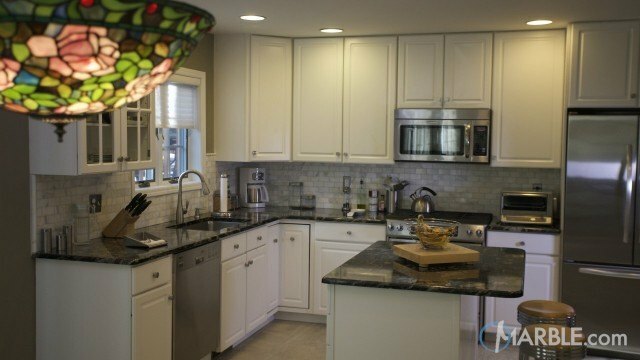 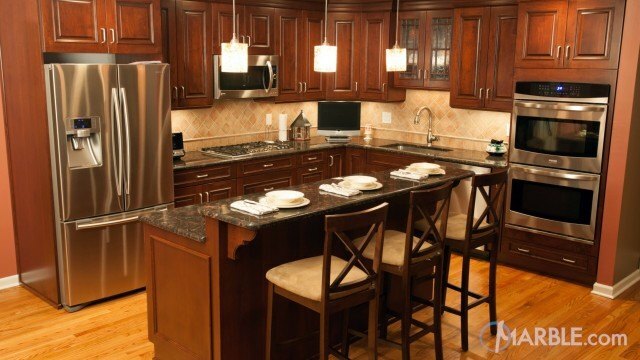 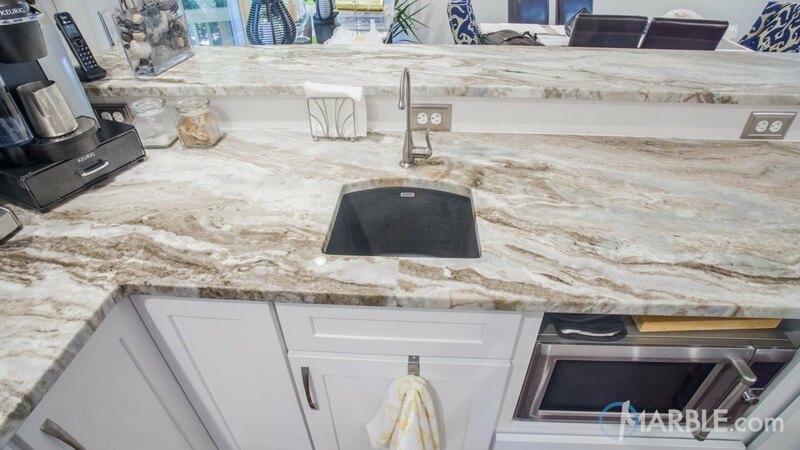 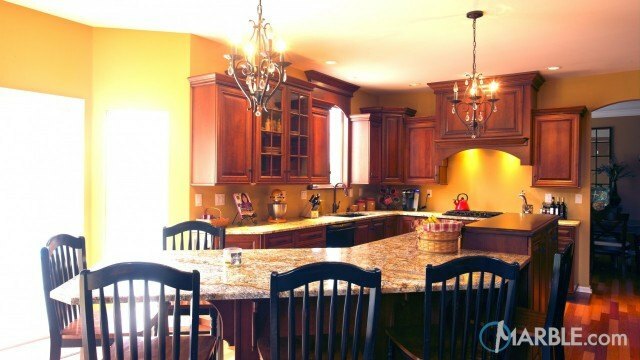 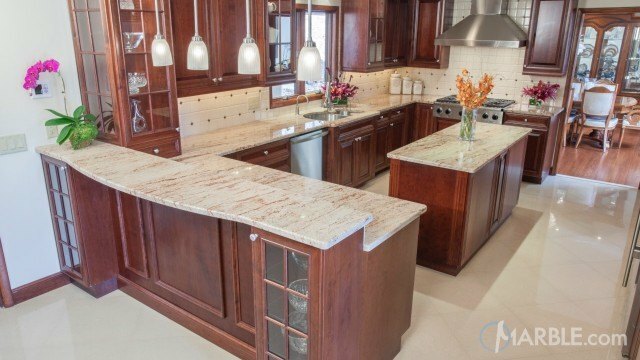 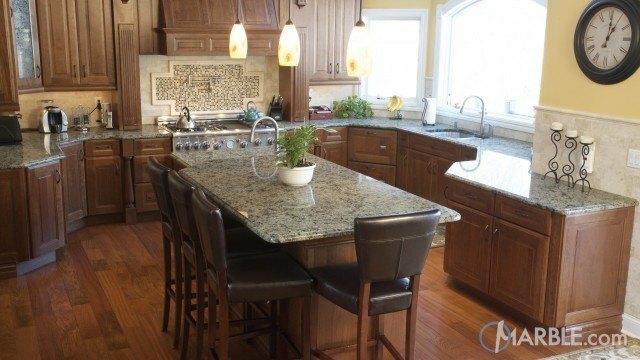 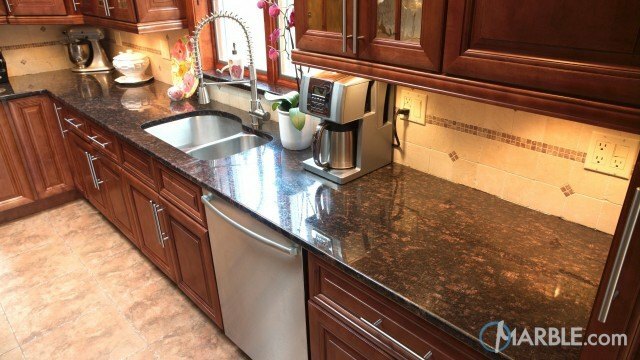 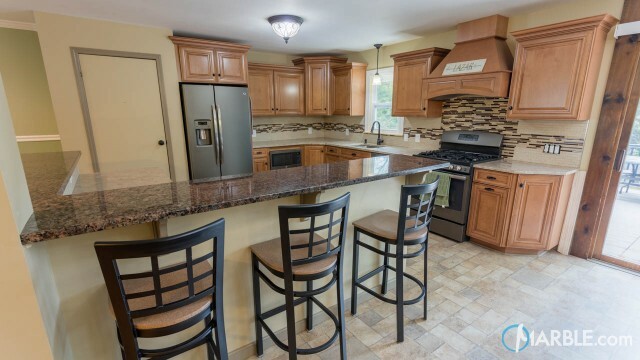 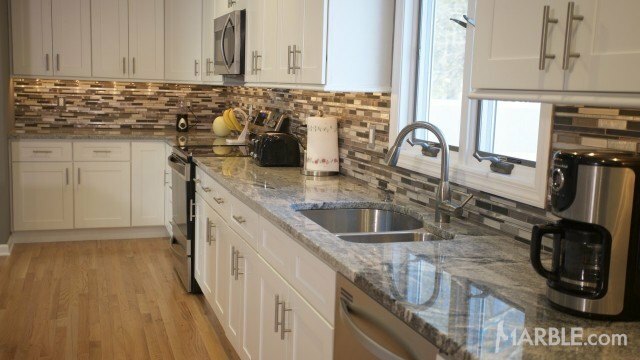 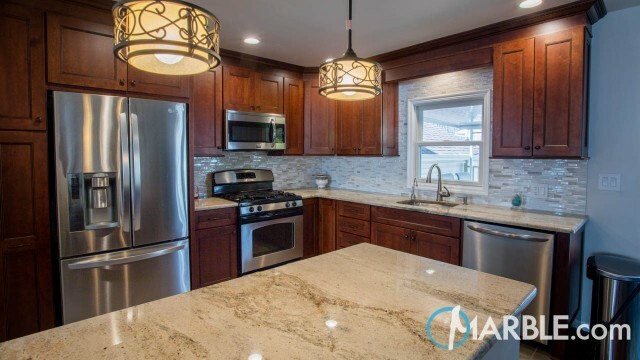 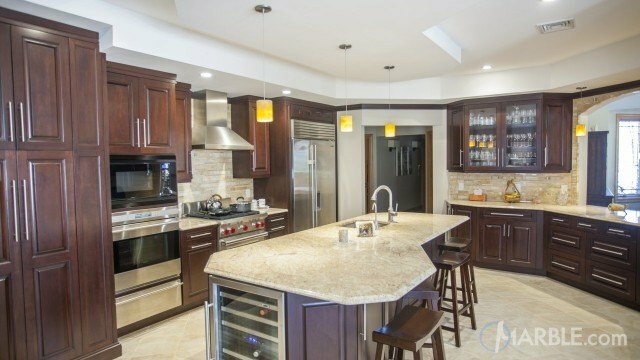 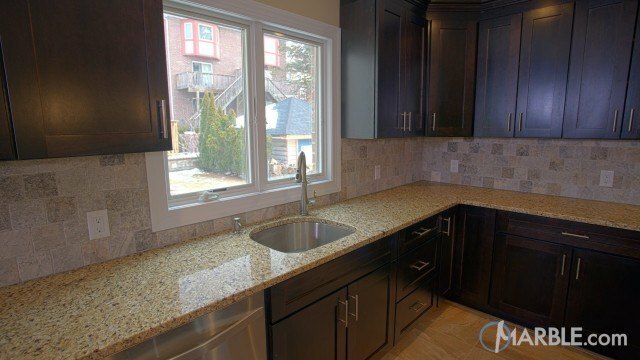 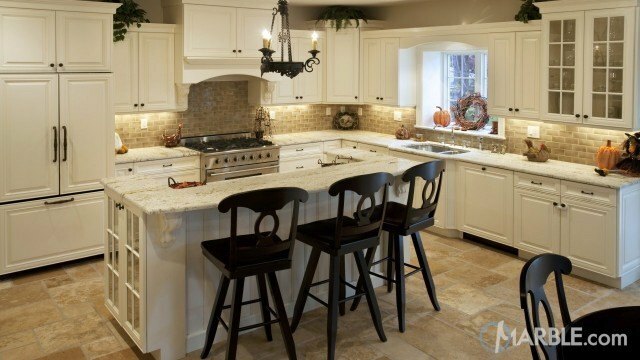 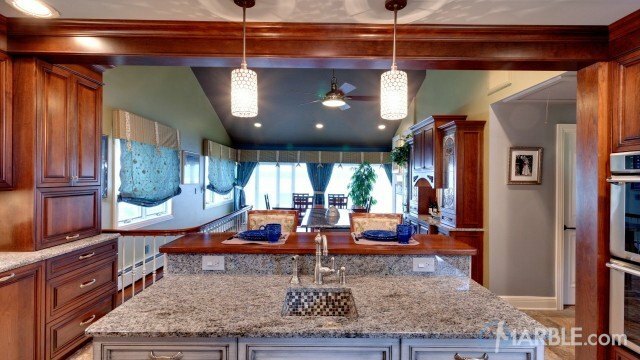 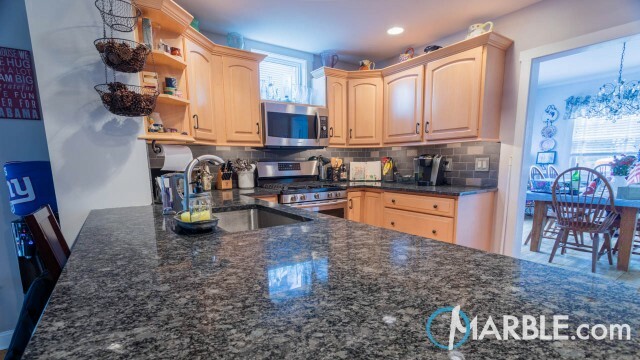 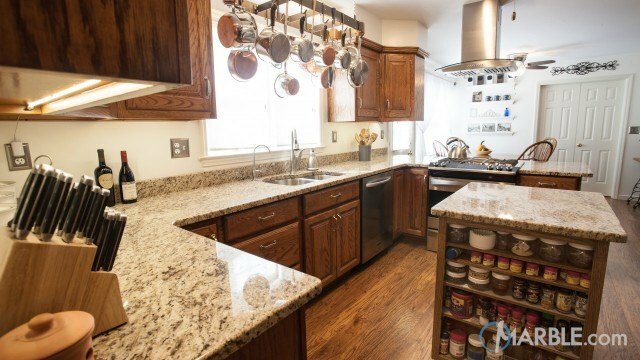 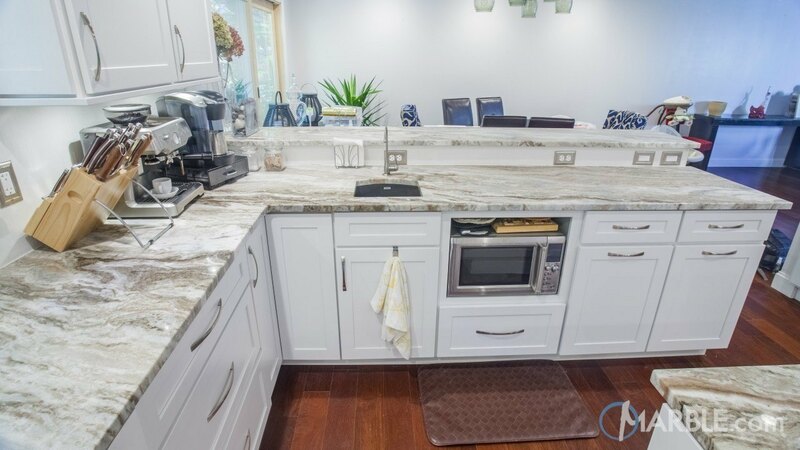 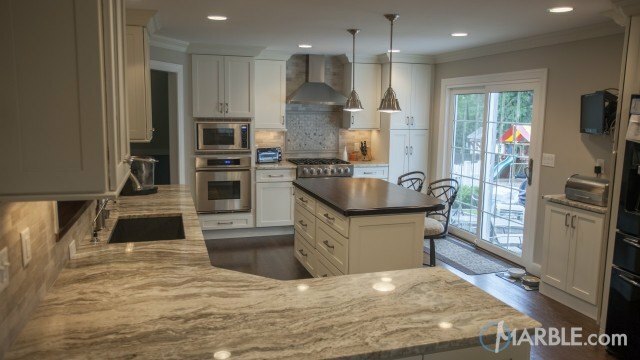 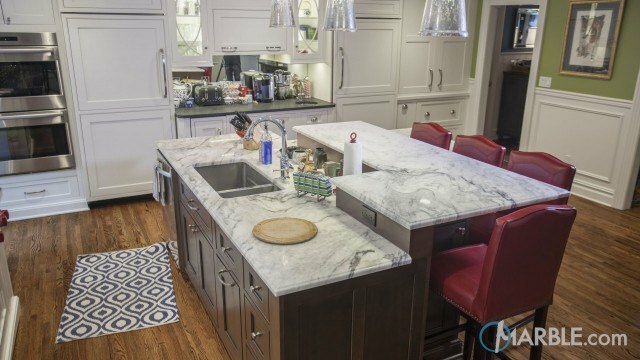 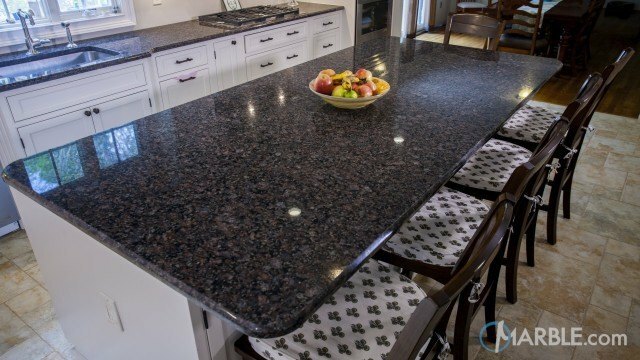 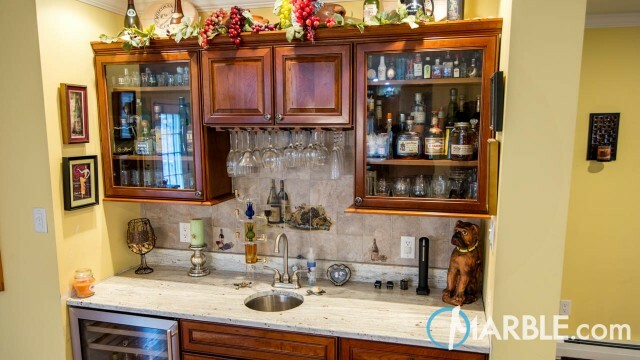 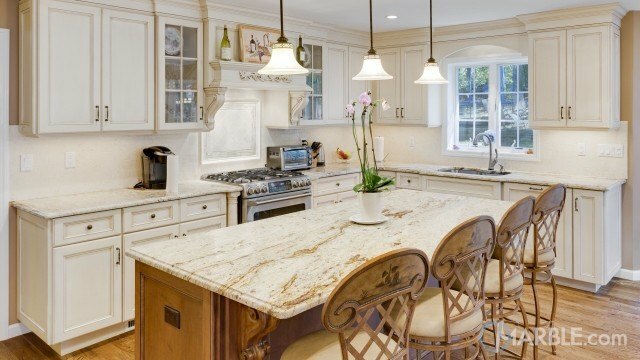 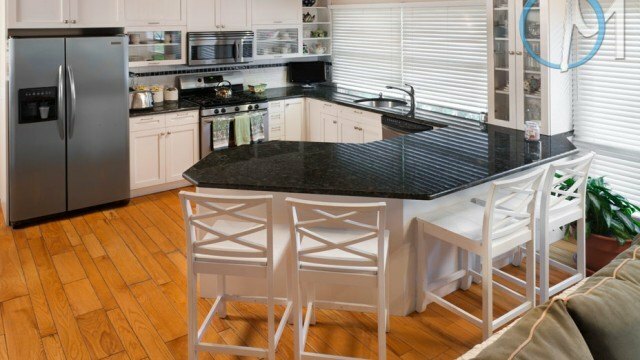 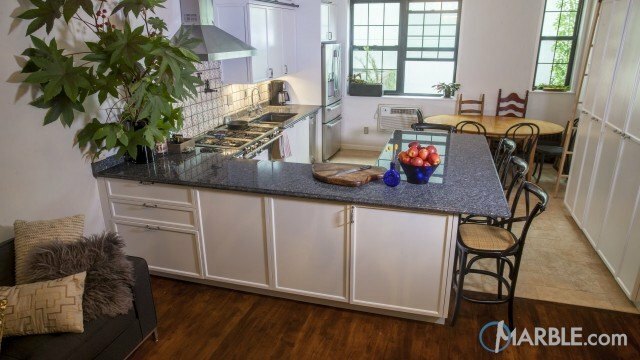 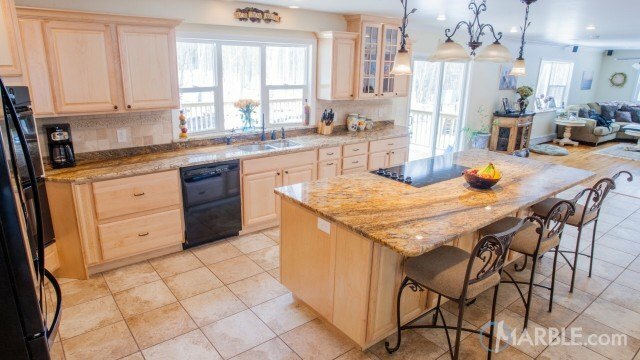 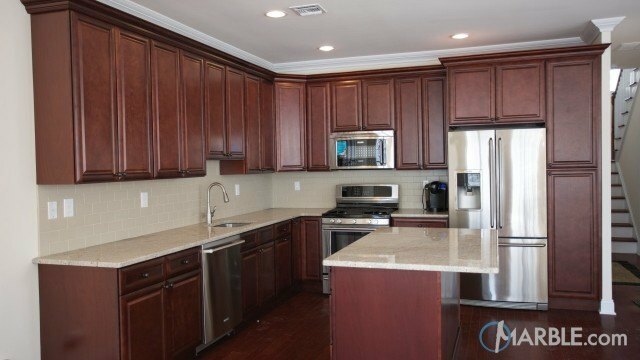 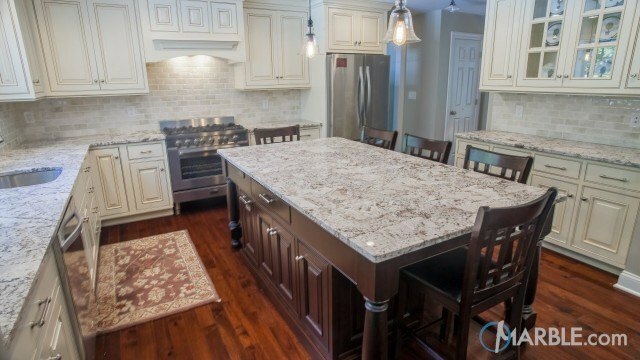 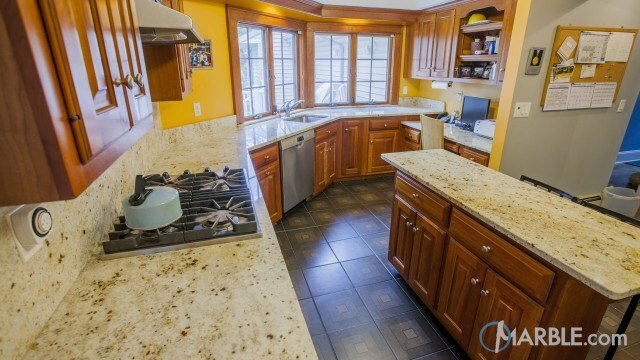 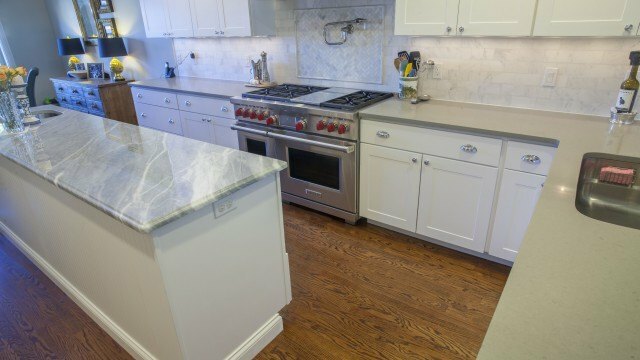 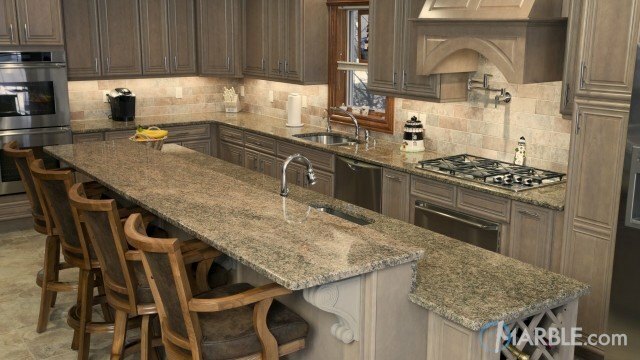 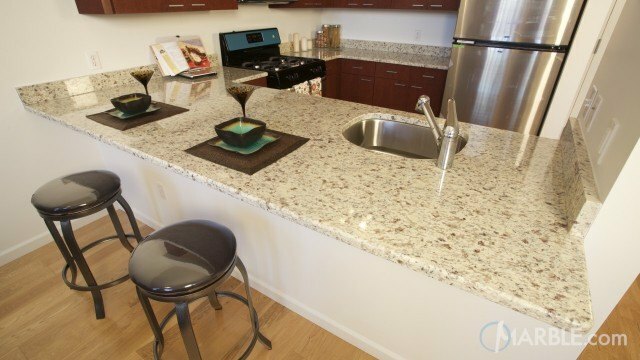 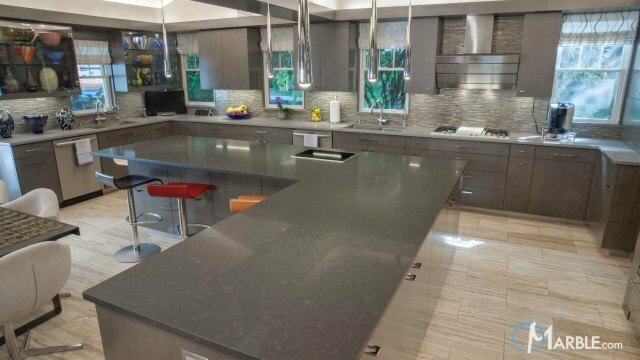 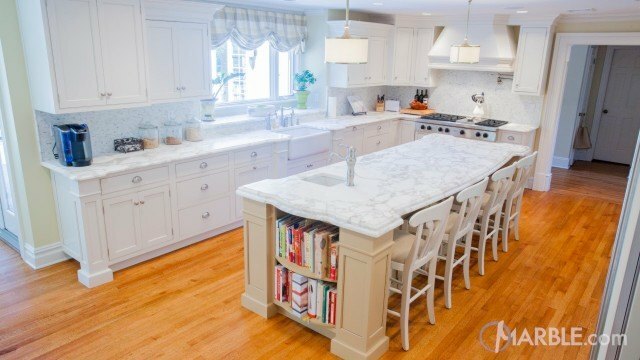 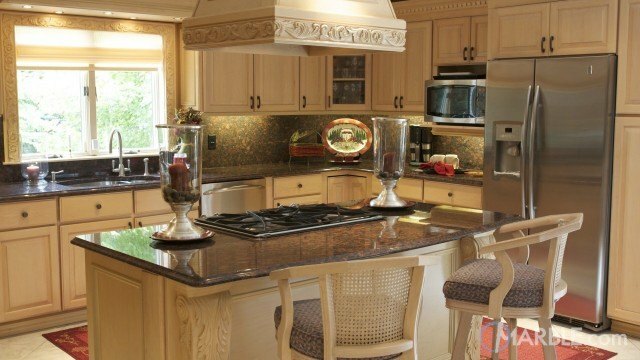 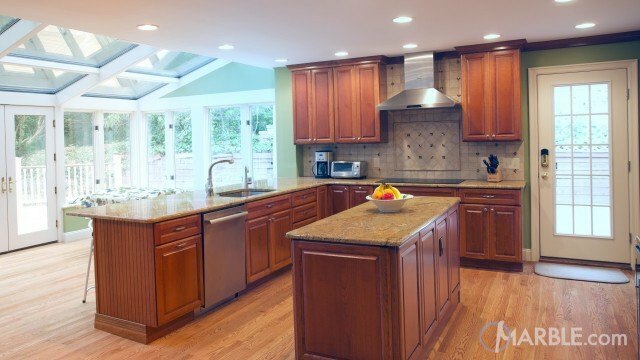 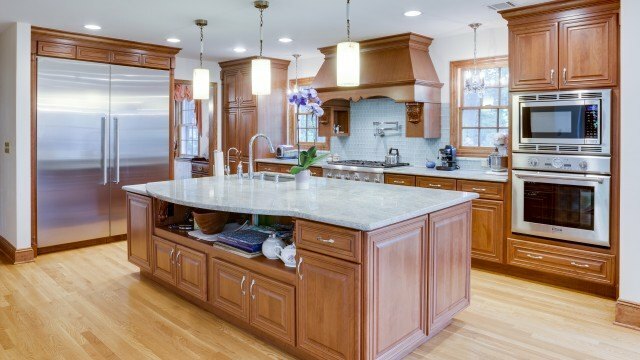 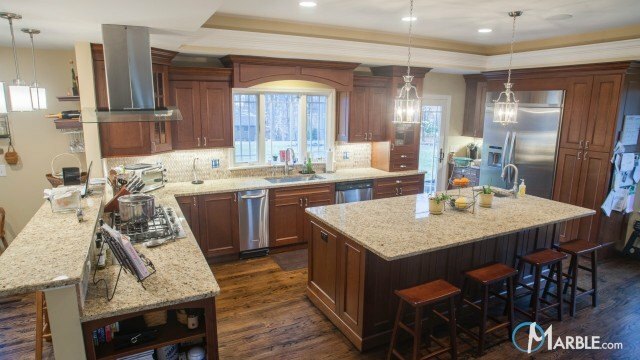 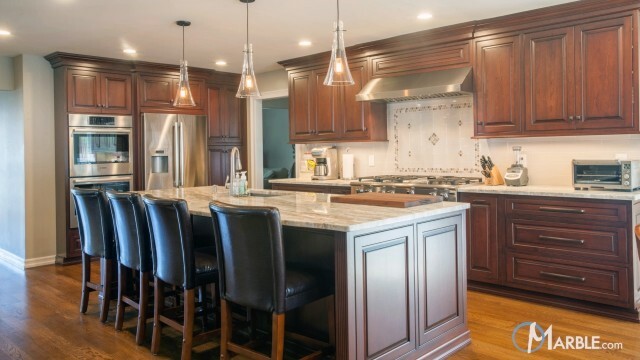 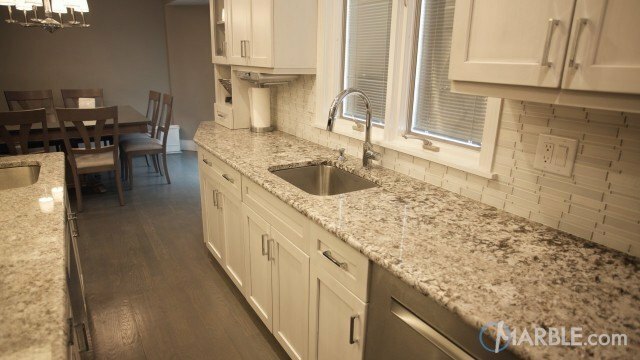 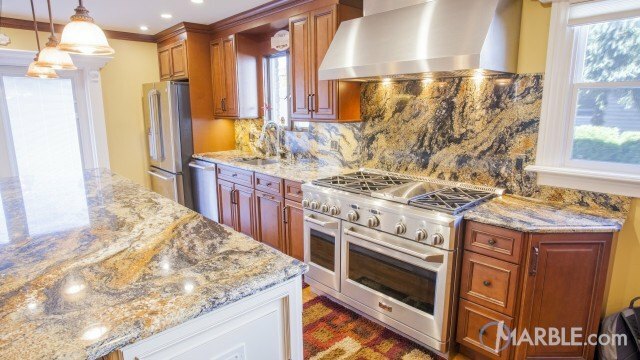 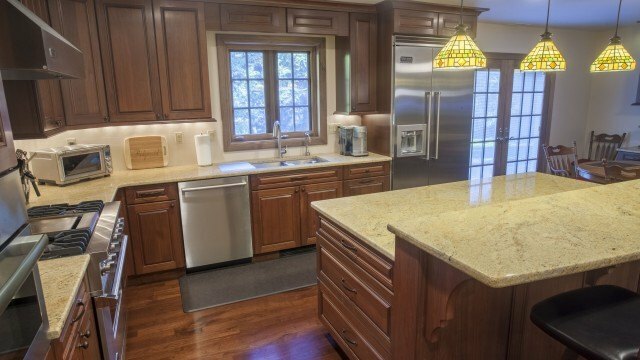 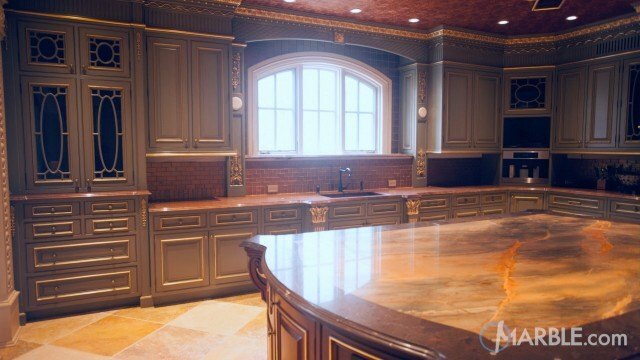 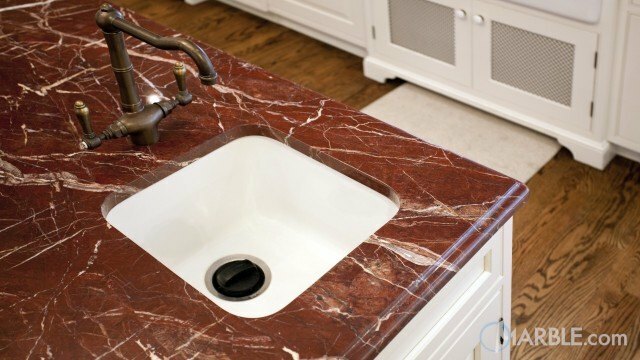 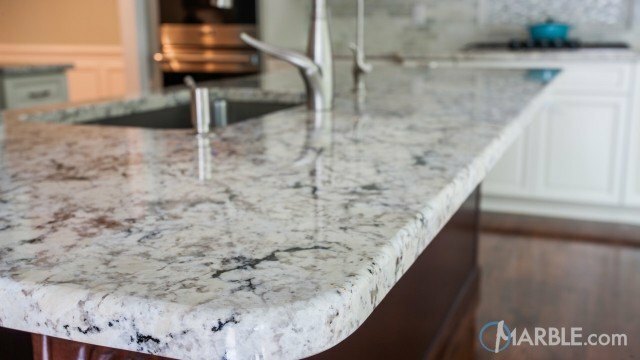 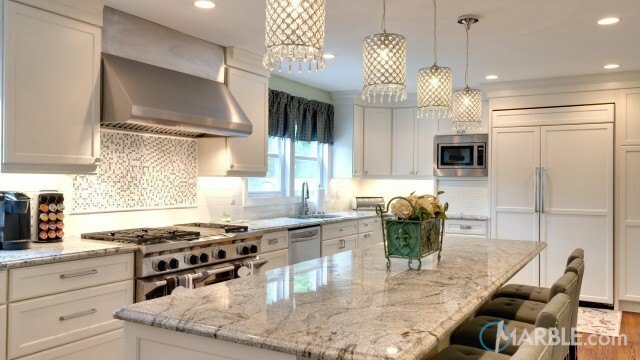 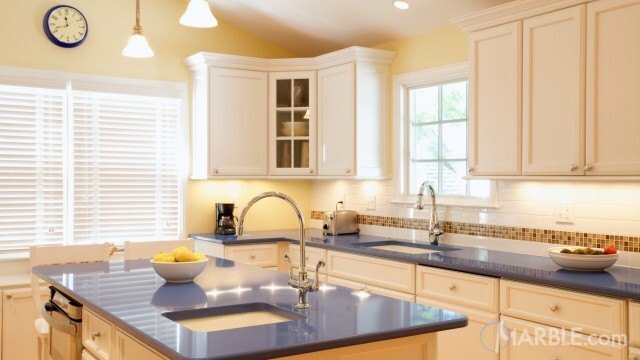 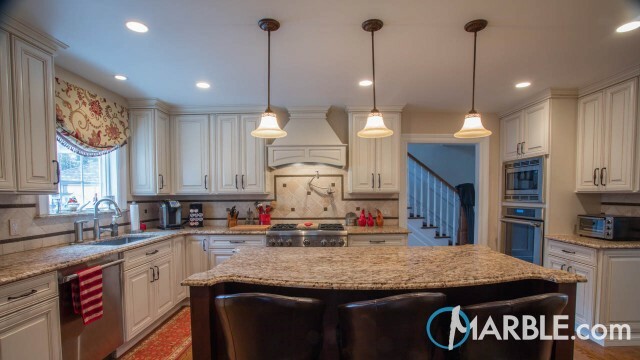 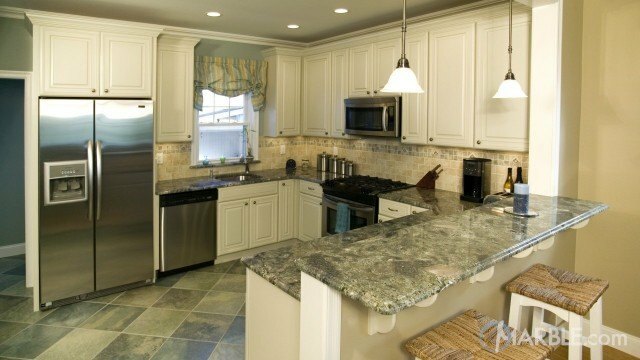 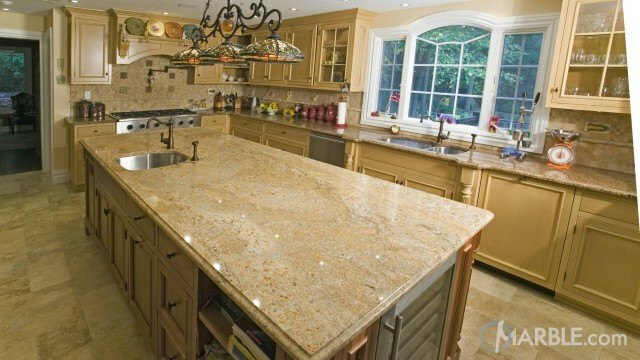 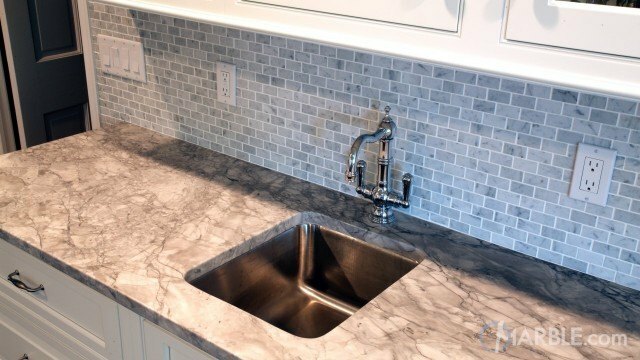 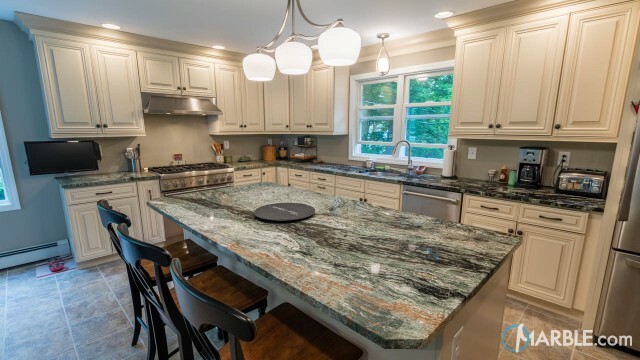 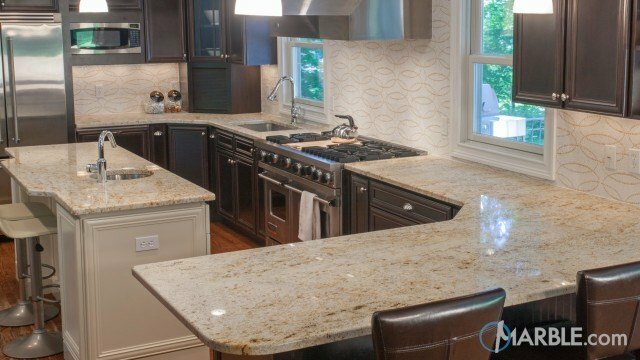 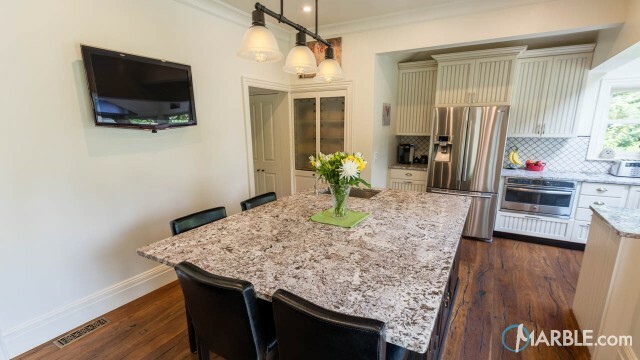 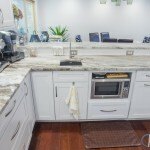 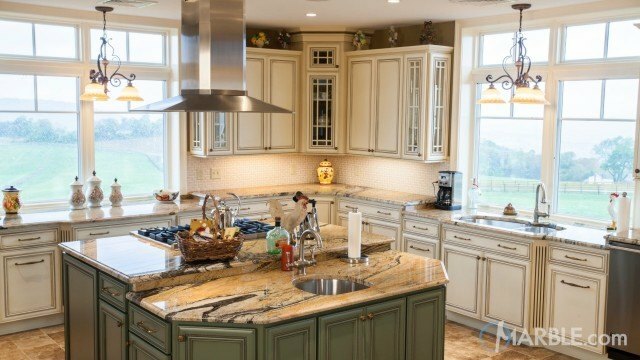 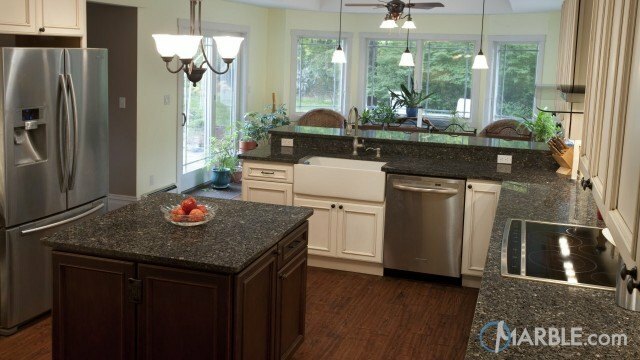 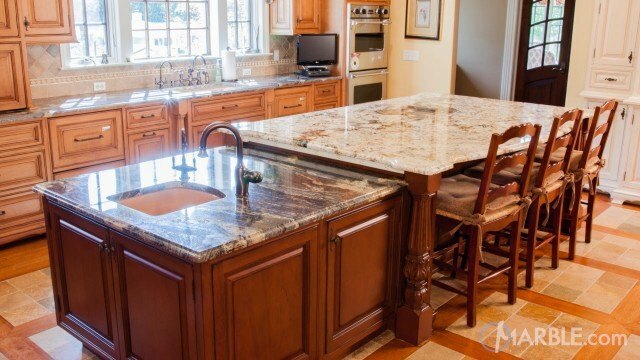 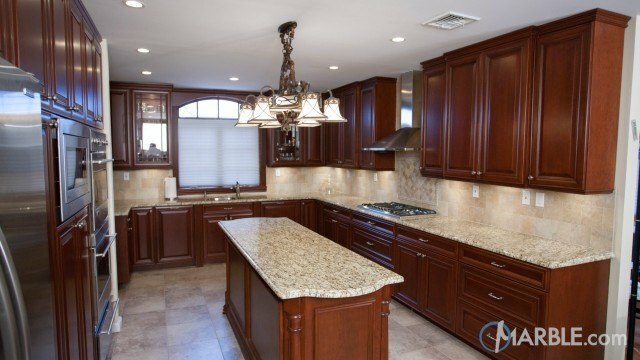 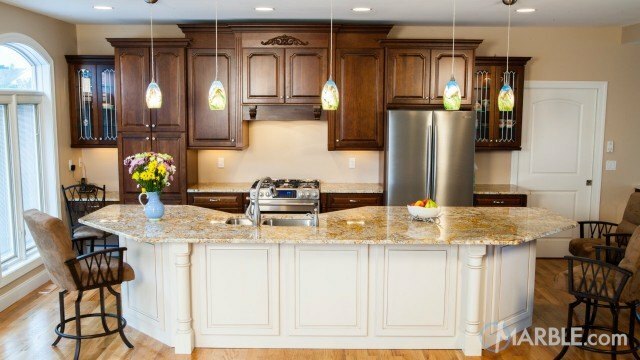 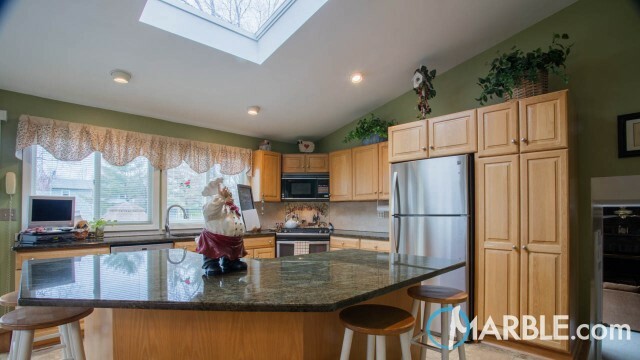 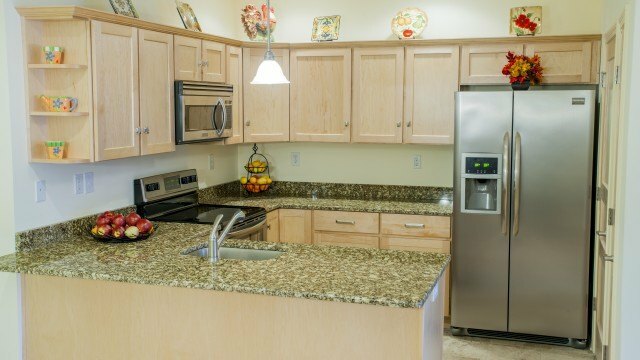 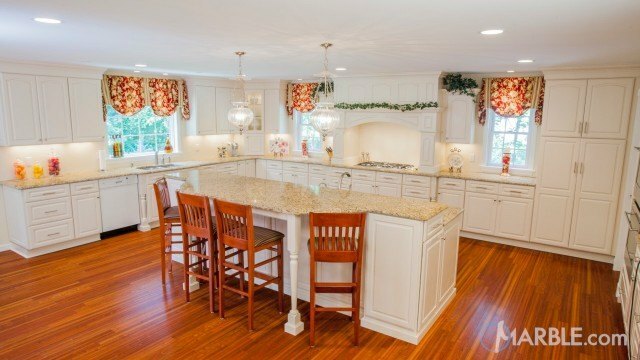 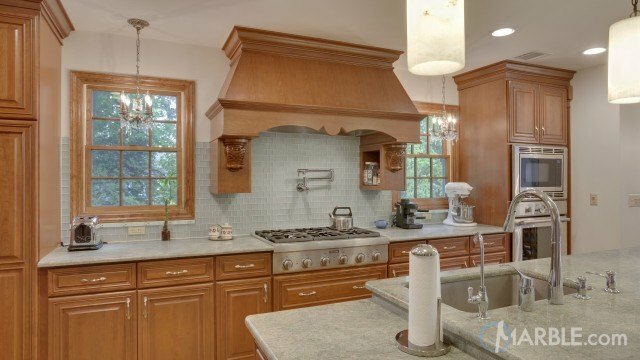 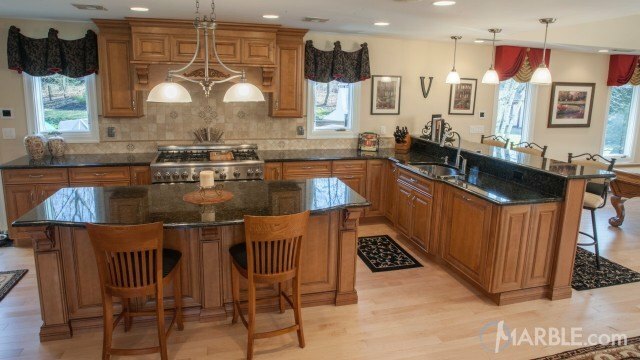 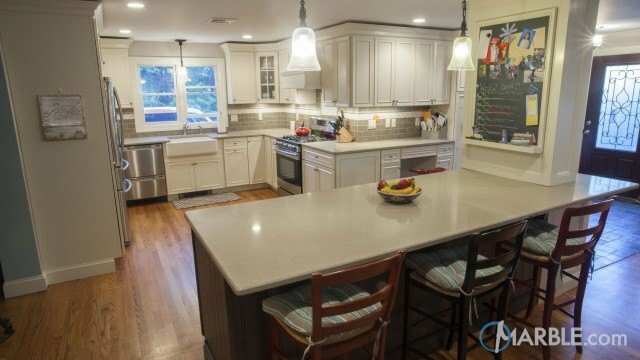 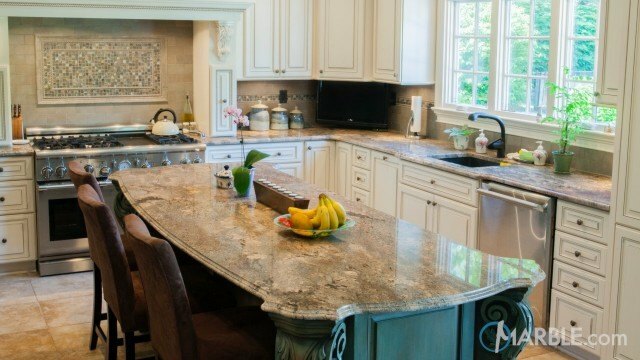 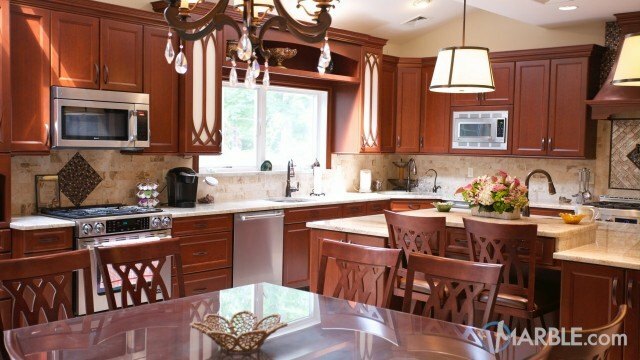 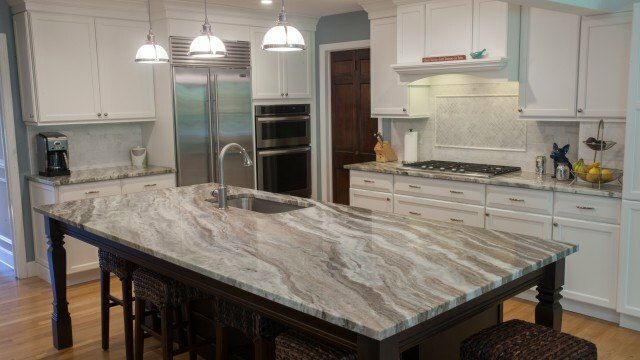 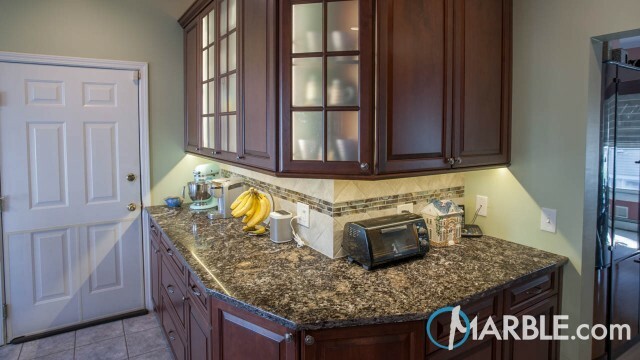 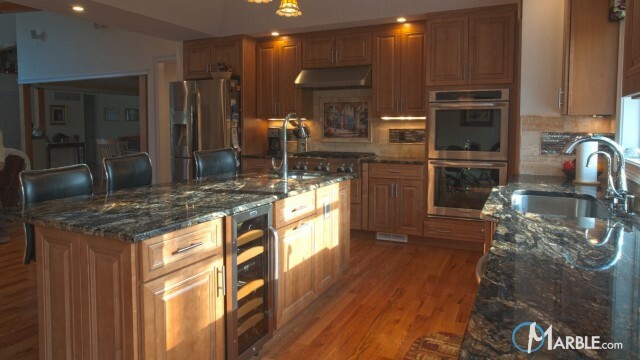 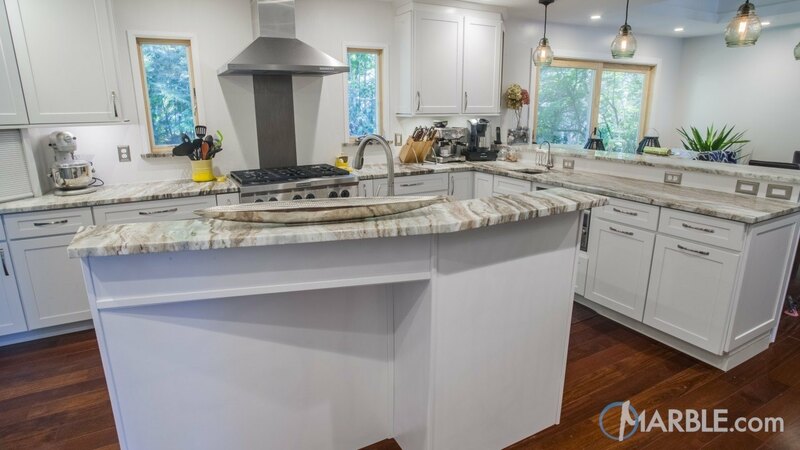 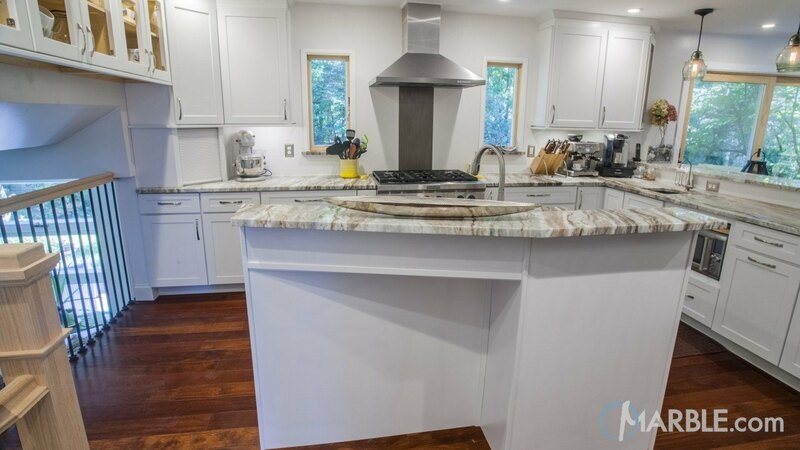 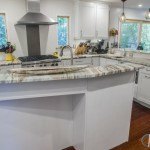 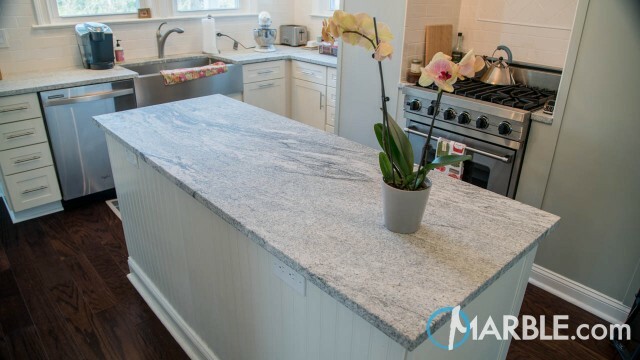 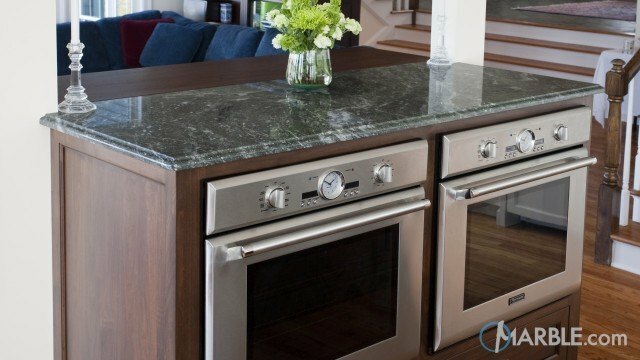 The Fantasy Brown Quartzite gives the kitchen that classic marble look with a more durable material. 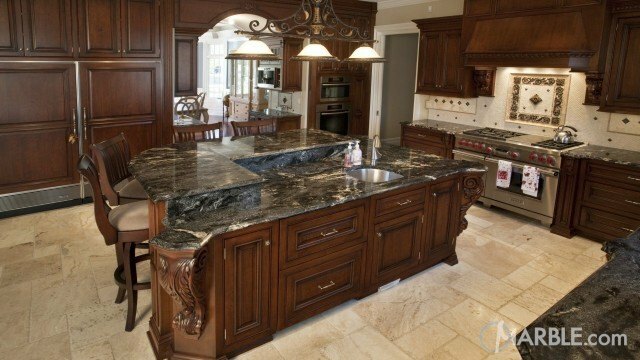 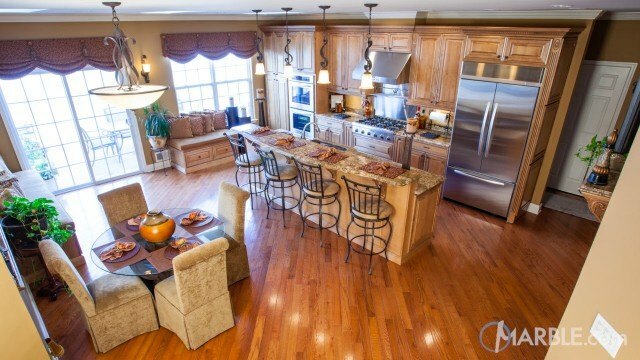 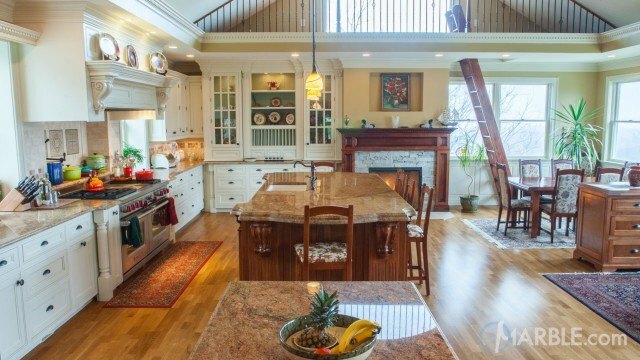 The Fantasy Brown Quartzite adds just a touch of color and interest to this stunning room.